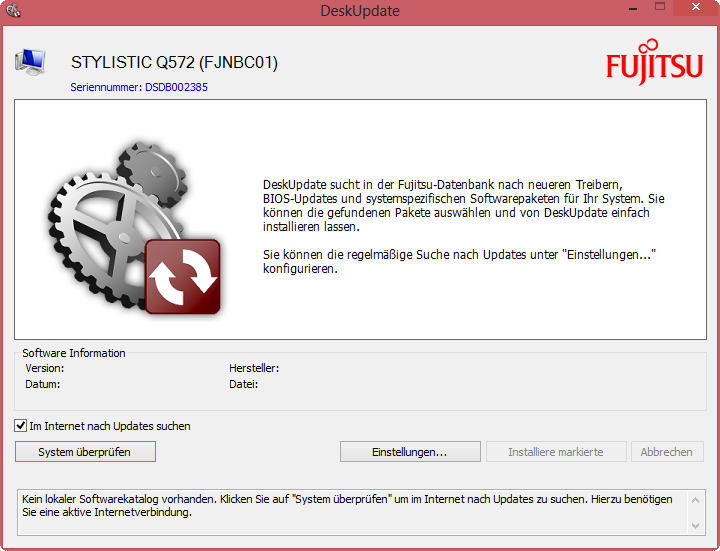 Fujitsu Stylistic Q572 with AMD Z-60 and Windows 8 Pro 64-bit. 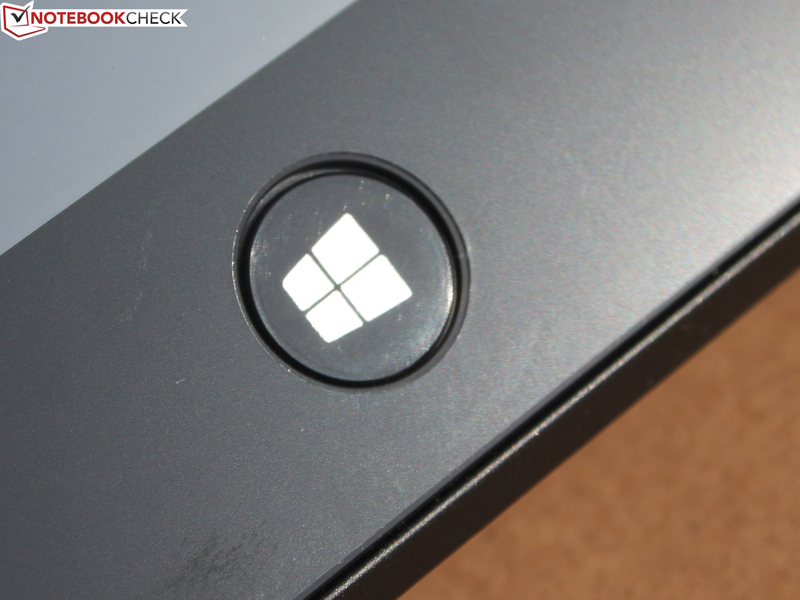 The mobile powerhouse among Windows 8 Tablets? In cases when a businessman finds that the (11.6-inch, 1.66 kg/~3.66 pound) convertible Stylistic Q702 is too heavy, and the slate PC Samsung Series 7 XE700T1A-H01DE has too little battery life, then the ideal choice may well come down to a Windows 8 tablet. The Stylistic Q572 weighs 775 grams (~1.71 pounds), and has a battery life that will last a whole working day according to the manufacturer. Up until now, this is so far not exceptional; Windows 8 tablets such as the Dell Latitude 10 or the ThinkPad Tablet 2 are already available from other manufacturers. Unfortunately, all of these suffered from their feeble though cost-effective Atom processor during the performance tests. The rivals from the business segment can quickly be summed up. First and foremost we consider the two Atom tablets to be direct competitors, since only these are comparable in terms of their weight, dimensions and features. 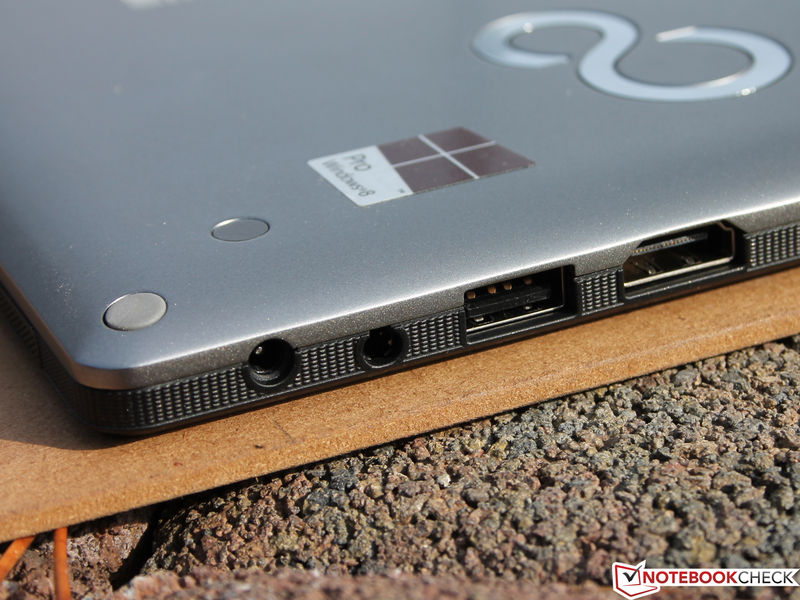 Is the new AMD Z-60 with its Radeon HD 6250 able to contend with Intel's tablet platform? A TDP of only 4.5 Watts and 80 shaders, along with a UVD3 video processor in the graphics card, should provide for an interesting match-up. Besides the technical details, the Stylistic Q702 is also able to benefit from its business features: Smart card reader, SD reader, full-fledged USB/HDMI ports, LTE modem and an exchangeable battery. Such an extensive connectivity has not been encountered by us in any device of this type to date. Why we nevertheless still don't want to keep the Stylistic Q702 when all is said and done, despite the aforementioned features, can be discovered in the following review. 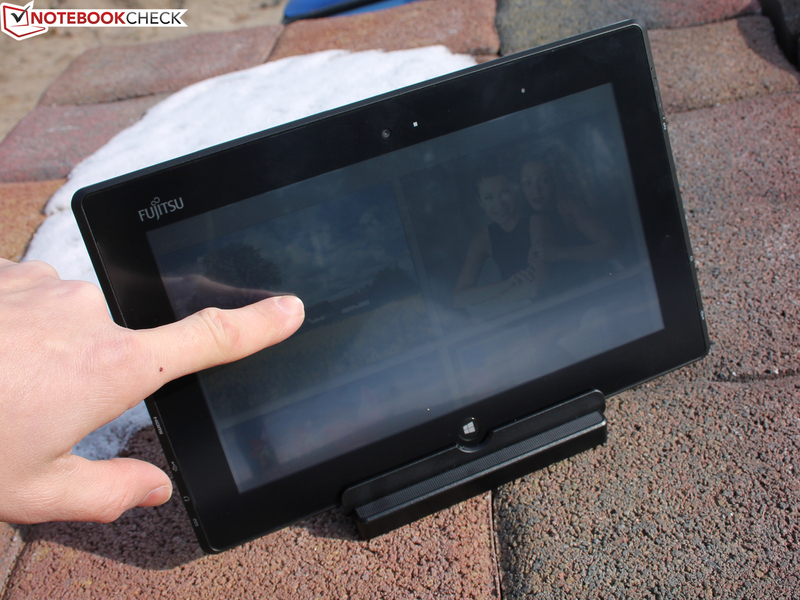 The 775-gram (1.71 pound) 10-inch tablet has a plastic case made up of two parts with an anti-glare display. 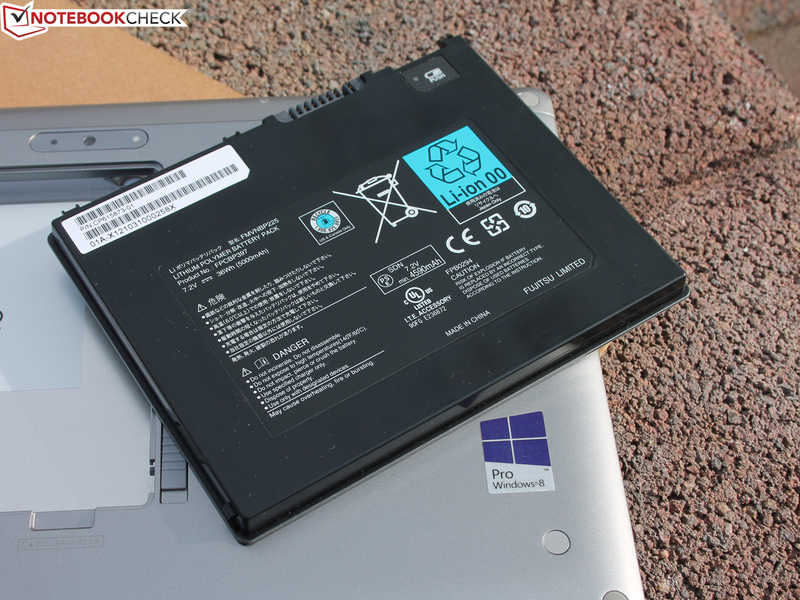 Other competitors are even heavier in some cases: Dell Latitude 10 (820 g/1.81 pounds, 60Wh battery!) 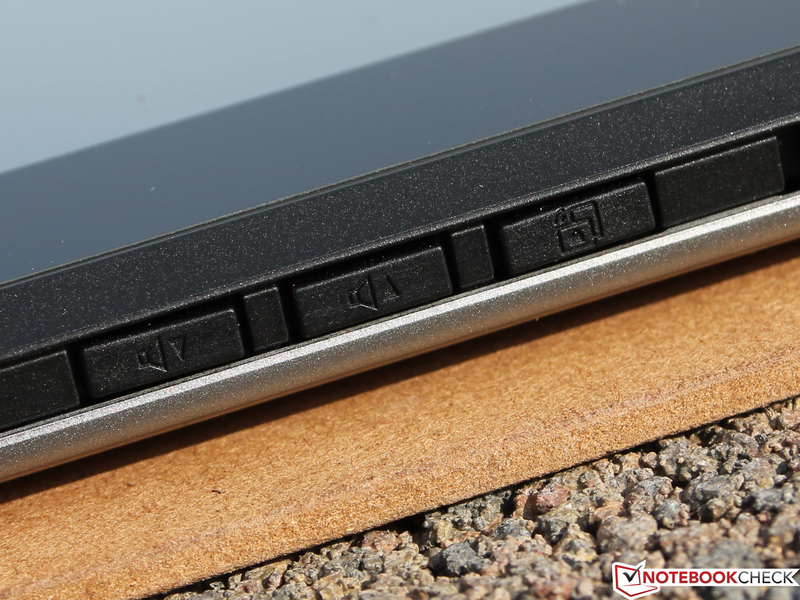 and ThinkPad Tablet 2 (540 grams/1.19 pounds). The anti-glare effect of the display is achieved by a kind of foil that is stuck over the front of the display, and therefore also covers the black areas of the display frame. Fingerprints are however still left behind, although their visibility is concealed. The strength of the case is quite good, although perfectionists will nevertheless still find that it warps with enough pressure applied. The sides have been made somewhat more grippy with tiny rubber bumps on the surfaces, while the rear surface has a matte finish although it is nonetheless smooth and rather slippery. 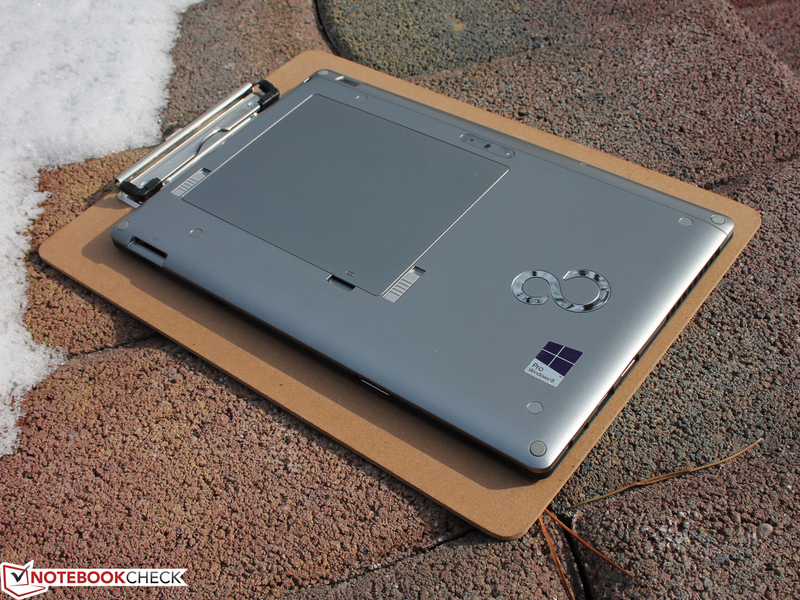 The Dell Latitude 10 and ThinkPad Tablet 2 meanwhile pursue a different philosophy with their slightly rubbery case surfaces. The manufacturing quality is not quite as good as the price would suggest. WLAN and power-on sliders are both a bit loose, and are not very easy to use; whereby the thumb often slips off the slider without actually moving it. The advantage: Accidental switching off of the tablet is as good as impossible. 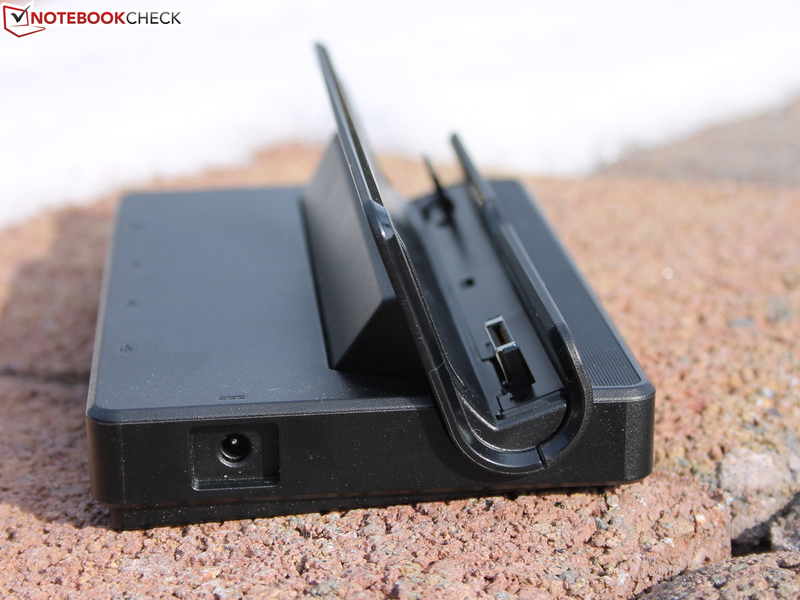 A further positive aspect: The removable battery sits very firmly in its slot, and can be removed when the Q572 while it is sitting in its dock (while operational), so that a second battery can be charged while the tablet is being used. The interfaces with standard sizes for notebooks (HDMI, USB, smart card reader) do not really make the case any thicker than is usual for this device class. 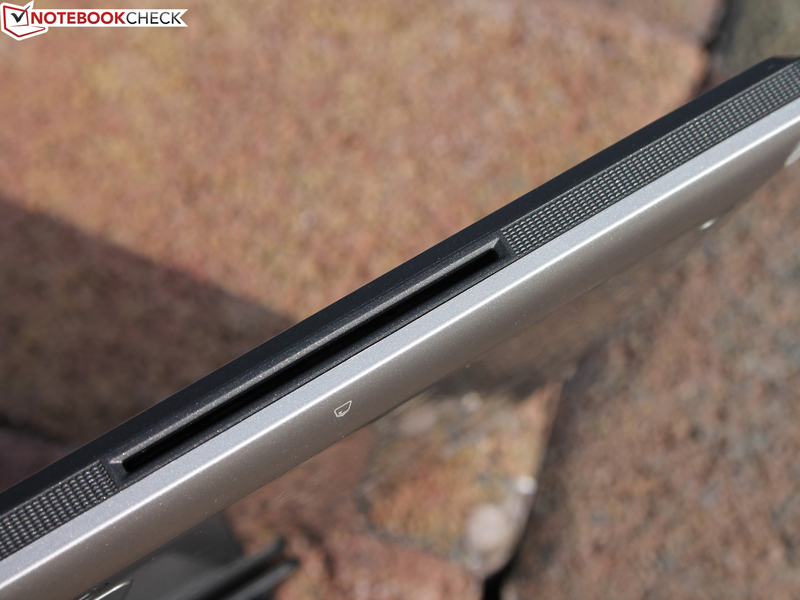 While the ThinkPad Tablet 2 is 16.5 mm (0.65 inches) thick and the Dell Latitude 10 extends to 17.8 mm (0.70 inches), the Q572 case depth is 17.6 mm (0.69 inches). Fujitsu is not leaving any room for misinterpretations: Connectivity is essential in the business world - driving projectors should not require users to have to frantically buy an adapter for Micro HDMI before a meeting. The same thing applies in cases when the customer hands over a USB stick or an SD card from their camera; just plug it in - and it should be ready to use. In this respect, the Q572 is a tablet that provides an exceptional level of comfort, which is something that also applies to the security options with smart cards. Authorized users can insert their card, and can then access certain applications. 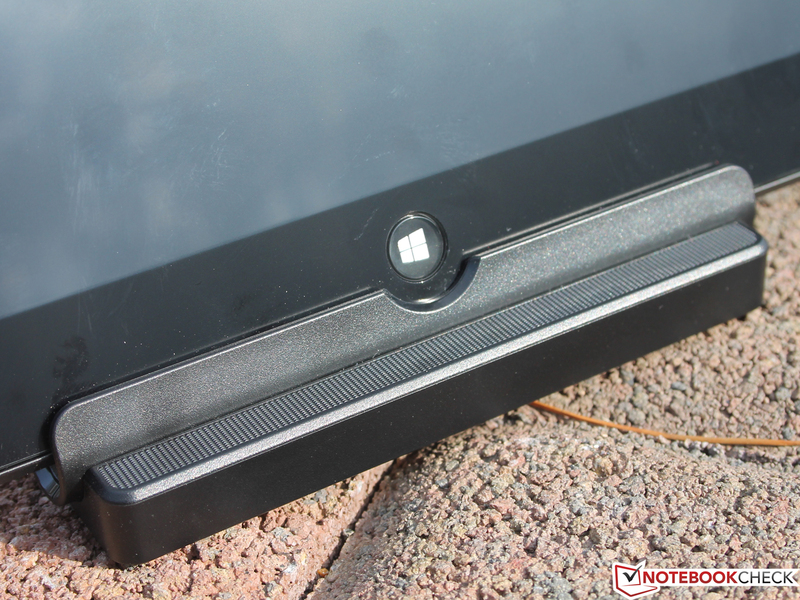 The position of the interfaces, towards the bottom along the sides of the tablet, is optimized for use with the docking station. USB sticks or other cables thereby do not dangle off the top of the device (inconvenient with heavy HDMI cables). The HDMI and USB ports are both located very close to each other on the left side though; which was less than ideal when we were using a wide HDMI-to-DVI adapter. 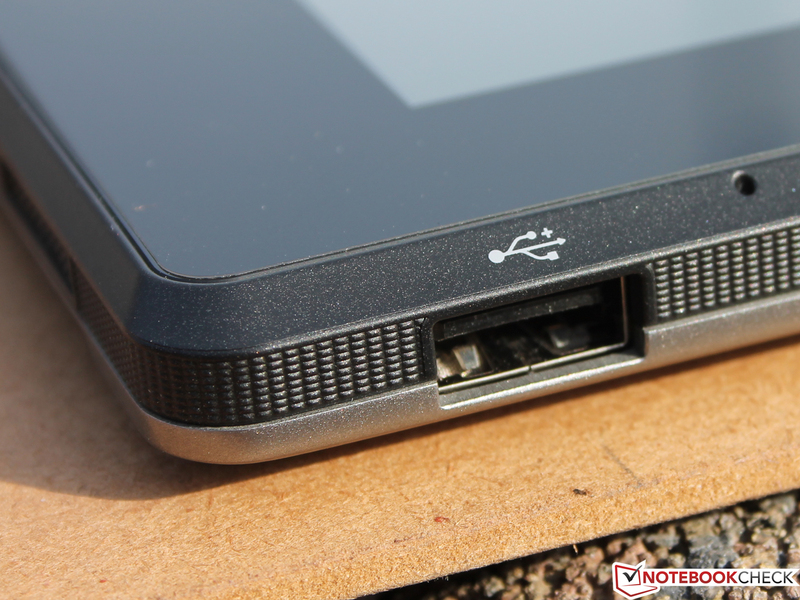 Taking into account the addition of the docking station, the Q572 even has an Ethernet port. Since it is a USB 2.0-to-Ethernet adapter in this case (LAN955A) the maximum data rate is only 100 Mbit/s though, although this should not pose any restrictions with most types of usage. While consumers generally prefer to use smartphone tethering for mobile web browsing, many business users favor an integrated 4G modem. 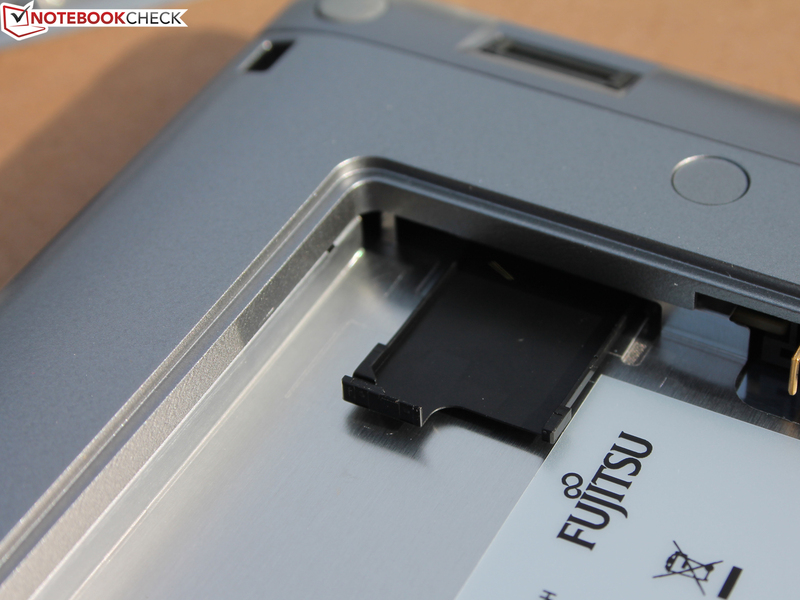 Fujitsu has opted for an LTE Sierra Wireless MC7710, whereby the SIM card is inserted below the battery. WLAN connectivity is of course also available, and is provided by a Ralink RT3572 (a/b/g/n) module that also supports communication via Bluetooth 4.0. The dual-band receiver (2x2) supports the extended 5 GHz frequency band (e.g. in cases when the standard 2.4 GHz band is fully utilized or suffering from interference). The WLAN reception performance is not the best we have come across - at a distance of 40 meters, the Ralink RT3572 lost the connection. At 15 meters (outside the house) there were only two reception bars filled in the Windows status indication. 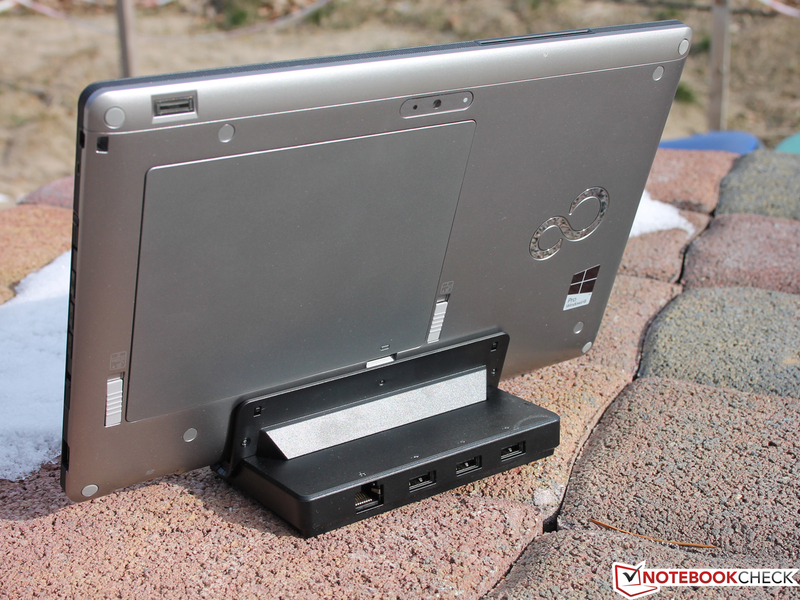 Similarly bad values were last encountered with the ProBook 4340s, which had a single-band Ralink module. 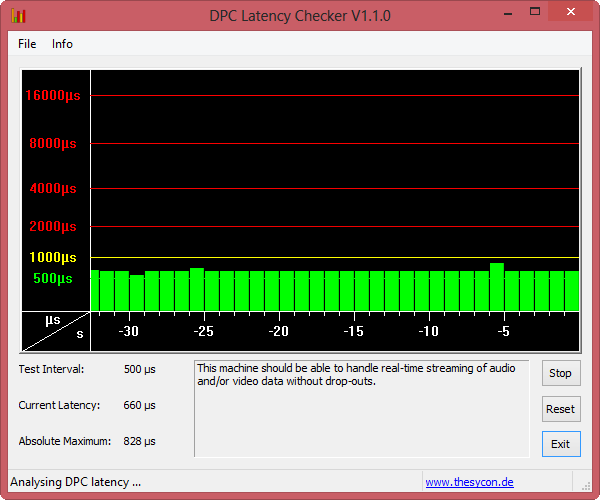 The transmit performance of our router (Fritz!Box 7270) was meanwhile limited to 50% for all the tests. A mini Kensington lock is not auspiciously concealed on the right side. 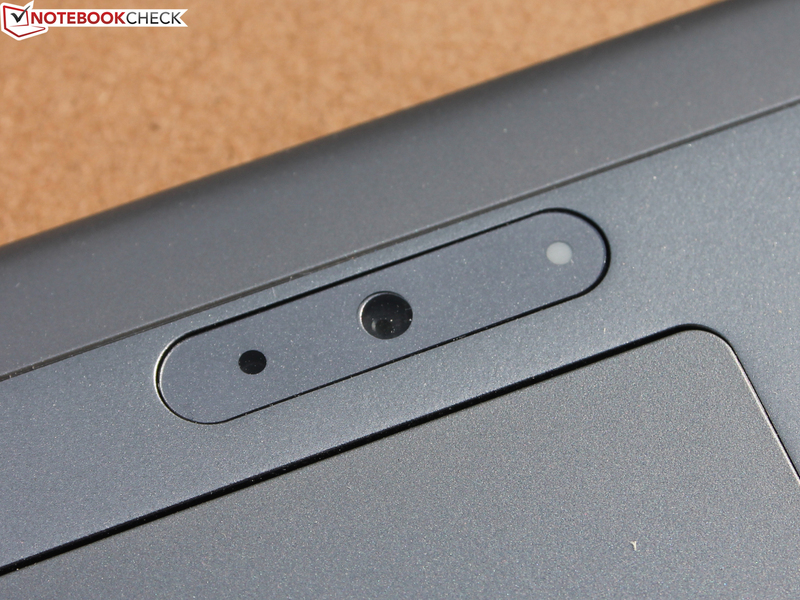 The four-millimeter wide opening is instead intended for attaching a rubber clip that holds the digitizer pen. 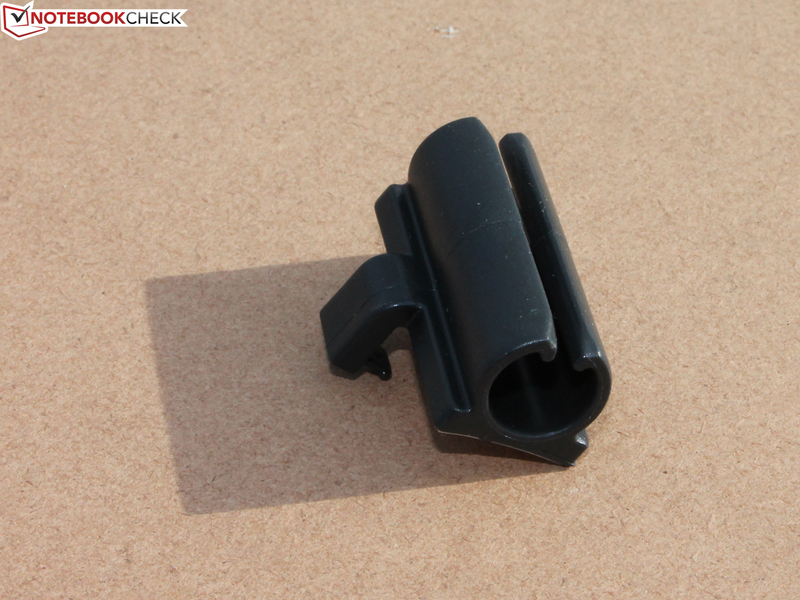 The attachment for a stylus pen tether or other thin cord is meanwhile located directly next to it. A fingerprint reader and smart card reader on top of this complete the package. Security manager software, such as is provided by HP Protect Tools, is not available with the Stylistic. 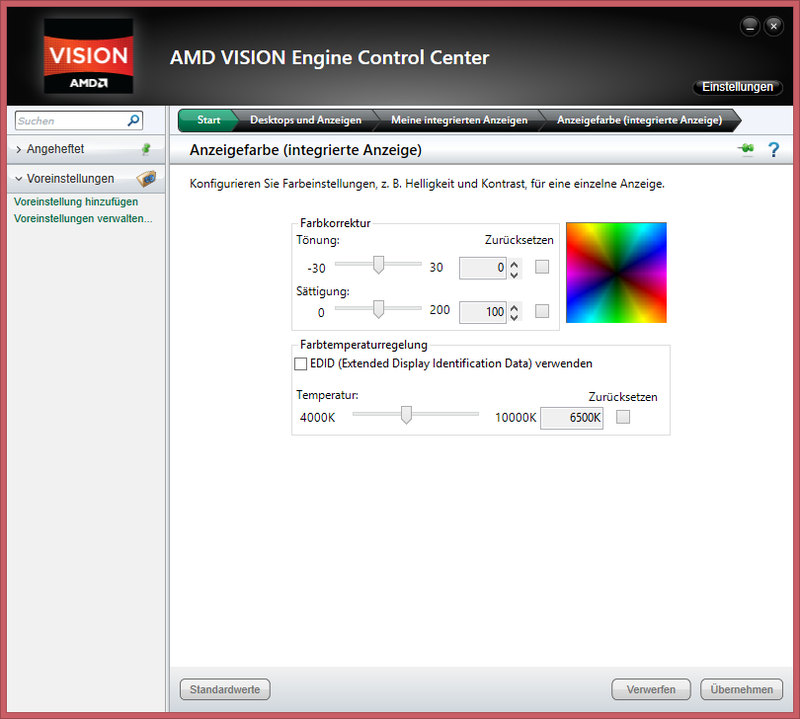 DeskUpdate meanwhile searches for driver updates based on the serial number, while the AMD Vision driver allows several power settings to be set along with changing the display colors. For the measurements performed in the Display section of this review, we obviously used the standard settings. With the exception of the annoying Norton Internet Security (trial version), there is no other preinstalled software worthy of mention. 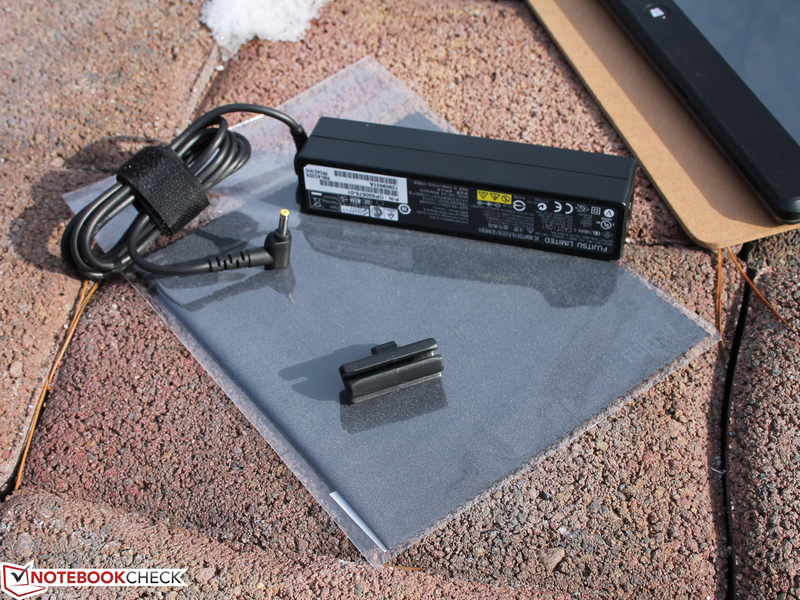 Included with the delivery is a small docking station with a separate power supply. The station furthermore provides an additional three USB 2.0 ports, as well as an RJ45 Ethernet port, and turned out to be very useful despite the fact that its angle of inclination cannot be adjusted. A cleaning cloth, Quick Start guide, or drivers/OS, don't usually make for noteworthy accessories. 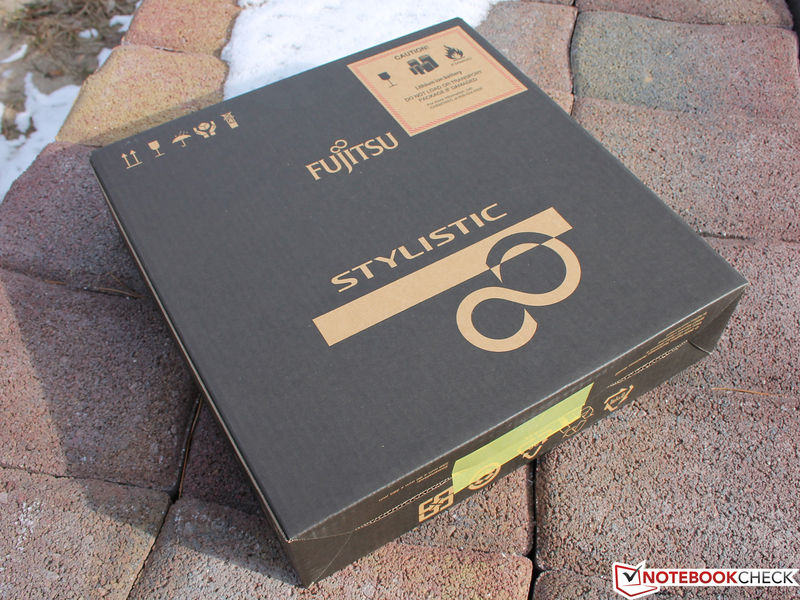 Fujitsu has however included a whole four DVDs; drivers + software package for Windows 8, drivers + software package for Windows 7, and a Recovery DVD for Windows 8 32-/64-bit (each with a separate DVD). Last but not least there is also an active digitizer pen (with batteries and buttons), which can be attached to the tablet with a clip. The pen makes a very good impression qualitatively, primarily since the batteries and aluminum material provide a pleasant weight in the hand. The manufacturer’s warranty lasts for 24 months. Buyers can however extend this according to their requirements if necessary, whereby there are service packs available for 3 or 4 years (approx. 80 and 200 Euros respectively/~$104 and $261). This includes a Pick-Up & Return service in Germany, and collection therefore takes place via a request through the support website. 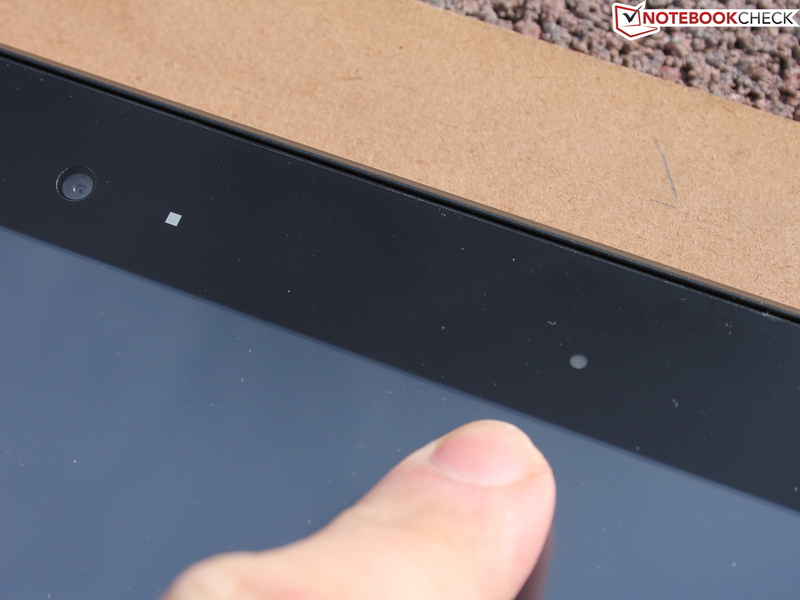 The dual digitizer IPS panel has been covered with an anti-glare foil, much to the delight of the included cleaning cloth; and although it does not completely prevent fingerprints, these are far less obvious than would otherwise be the case. Other advantages include the scratch resistant properties of the anti-glare foil, and the fact that distracting reflections are greatly reduced, albeit not entirely eliminated. 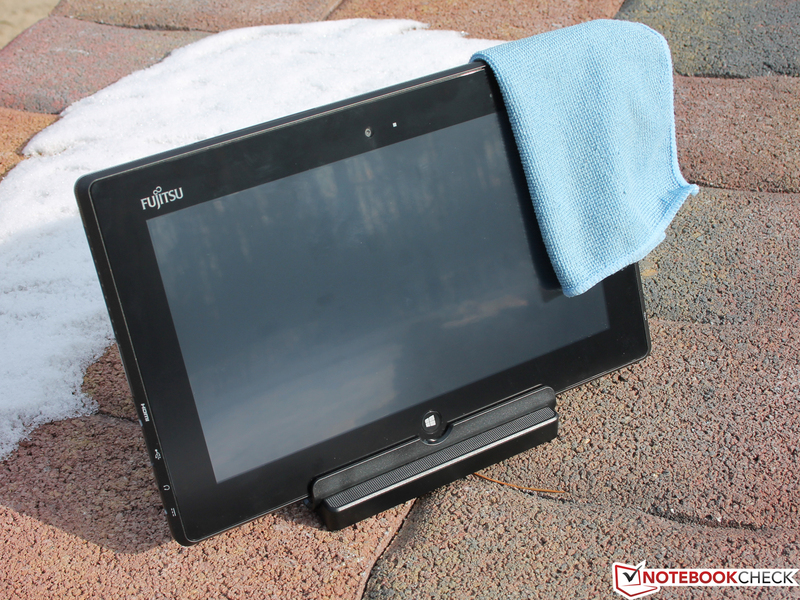 This type of anti-glare foil has already been adopted by Fujitsu for the previously reviewed Stylistic Q702 (our verdict: hardly sufficient for outdoor use) and the LifeBook T902 (wish list: a brighter display suitable for outdoor use). 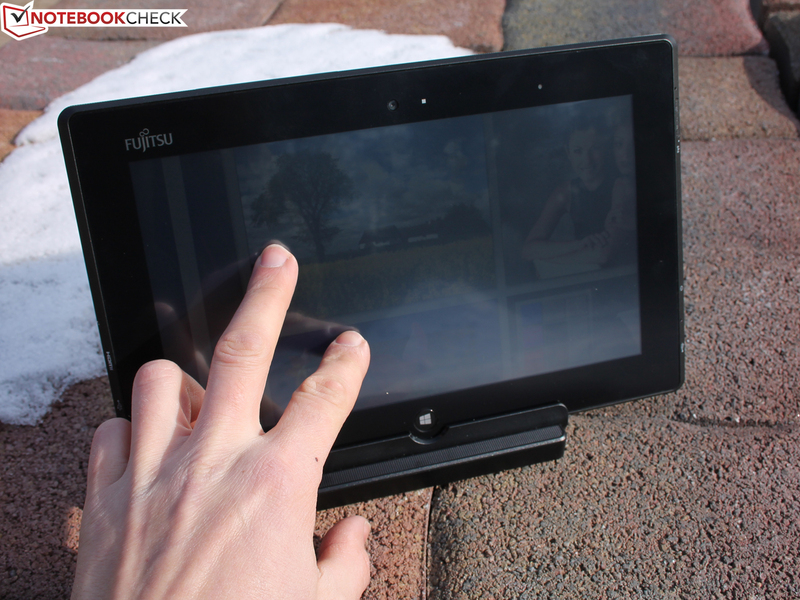 All of which have one thing in common with the reviewed tablet: a more or less too dark display for outdoor use. More details are to follow in the Display section. The display with a maximum resolution of 1366x768 pixels is a capacitive multi-touch touchscreen that can be controlled with the fingers or active digitizer pen, or both at the same time. The response is always prompt and movements are quickly recognized. 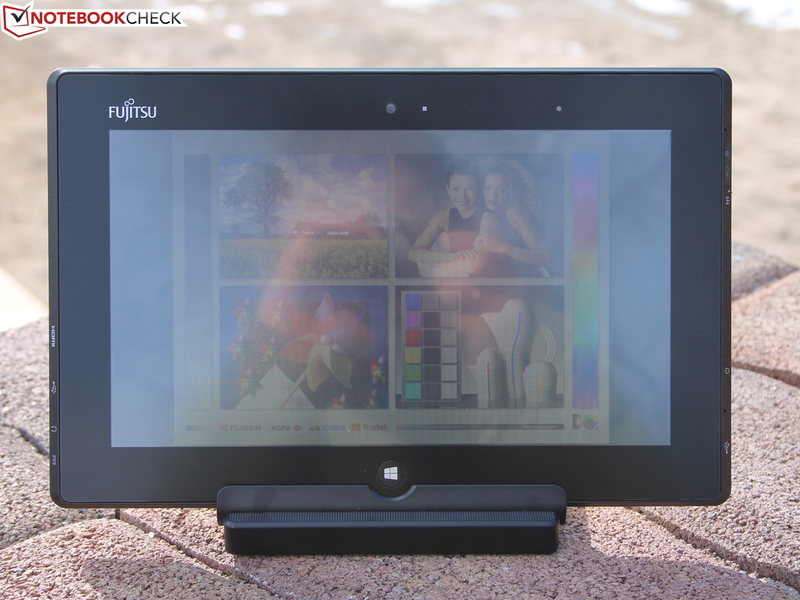 Even if the screen is not a high-resolution Full HD display, we often had the desire to use the included digitizer pen rather than our fingers, whereby buttons are easier to hit and speed of use is increased - in other words: the classic Windows surface can be used more comfortably. 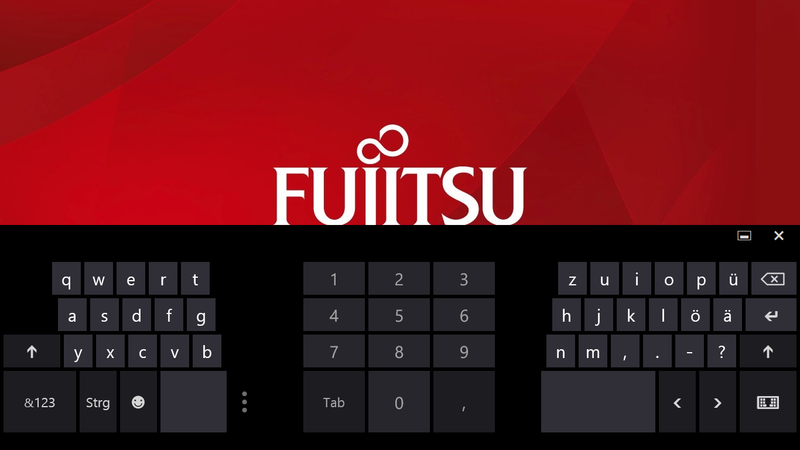 Windows 8 provides the operating system virtual keyboard, which can be especially practical separated into two parts, whereby the left and right thumbs can be used for typing while holding the tablet. 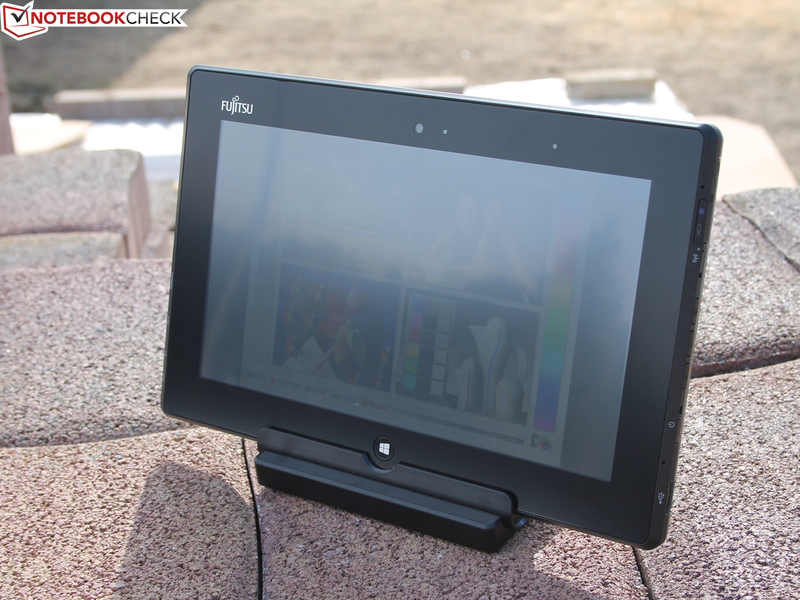 An IPS display with a resolution of 1366x768 pixels and a diagonal length of 10.1 inches. These are the important characteristics of the multi-touch display in our Q572. IPS panels provide wide viewing angles and good contrast levels, while the anti-glare surface should help reduce reflections and thereby improve the usability. Areas of criticism do not begin to emerge only when we look at the fine details though, but also stand out in a glaring way. Starting off with the contrast: The contrast ratio of 572:1 is on a good but not particularly high level. Despite the for tablet standards meager maximum brightness of 270 cd/m², the black level (from which the contrast is calculated) lies at 0.47 cd/m². Our measurement device therefore recognizes white elements on an entirely black display. The brightness is dynamically adjusted according the readings of an ambient light sensor. An ambient light sensor such as this is in itself not a novelty or something detrimental. In the instance of the Q572, it however winds us up to no end, because the brightness is constantly throttled to a maximum of 178 cd/m² while battery powered. As if that was the end of it: Even indoors, the sensor still thinks the surroundings are far too bright, and changes the brightness (aggressive power saving setting) by the second. In cases when we would therefore move through a non-uniform illuminated room, we were able to watch how the brightness would adjust itself. Readers can probably imagine how this would manifest itself on a train journey. Unfortunately, we were not able to find a way to turn off the sensor (not even in the BIOS). In light of these findings, the assertion "maximum brightness of 400 cd/m²" in the data sheet, begins to sound like wishful thinking. As is the case with its competitors, the Q572 also is not able to fully cover the sRGB color space (only approximately 60%), not to mention the bigger AdobeRGB color space. 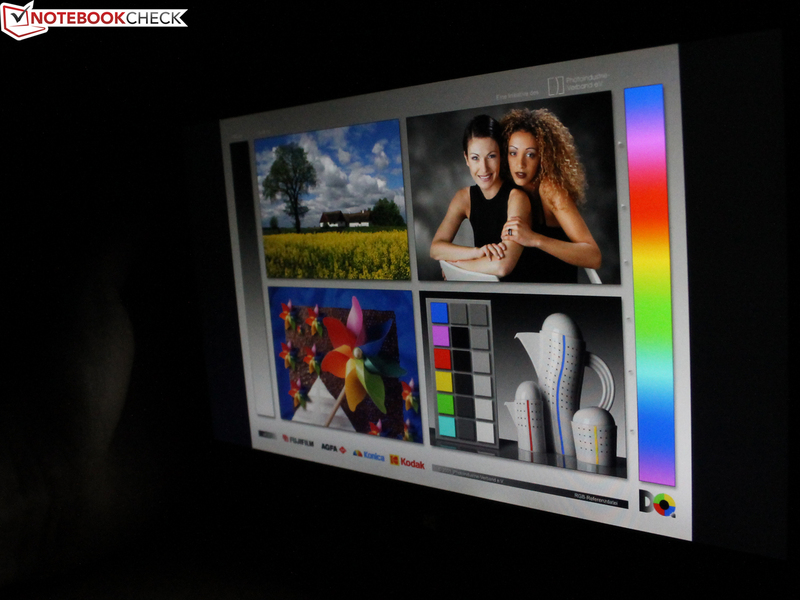 Color spaces do however play an important role for professional graphic designers, who need to see an accurate representation on their TFT display. Our reviewed tablets bigger sister model, the Q702, as well as the first-class IPS Full HD display in the Aspire V3-571G, are not much better in this respect either though (pictures 3 and 4). The color analysis with the i1 Pro 2 spectrophotometer and the CalMAN 5 software, shows a noticeable deficiency when it comes to the representation of bright gray tones. The DeltaE (2000) of six (average) stipulates that gray tones don't look the way they should according to the sRGB color space. Merely when it comes to pure black and almost-black (10/20) is the human eye no longer able to discern any difference. An unfavorably high DeltaE (2000) was also determined for the colors blue and magenta (22 and 12), although the blue tint may not be quite as distinct as with most other laptops. With a color temperature of 6352 K, white is almost in line with the ideal level of 6500 K. The ThinkPad Tablet 2 on the other hand represents gray scales perfectly and the color accuracy is better, while the Latitude 10 has similar characteristics although the gray scale is a smidgen worse than when compared to the ThinkPad. And we thought the brightness was already too dark indoors - so how well does the Q572 perform under sunlight? The answer: The aforementioned 178 cd/m² remain (battery powered). Together with the less than impressive contrast and the milky anti-glare foil, working in the sun is practically impossible. When it came to taking pictures with the webcam outdoors, we had great difficulties recognizing anything on the display. 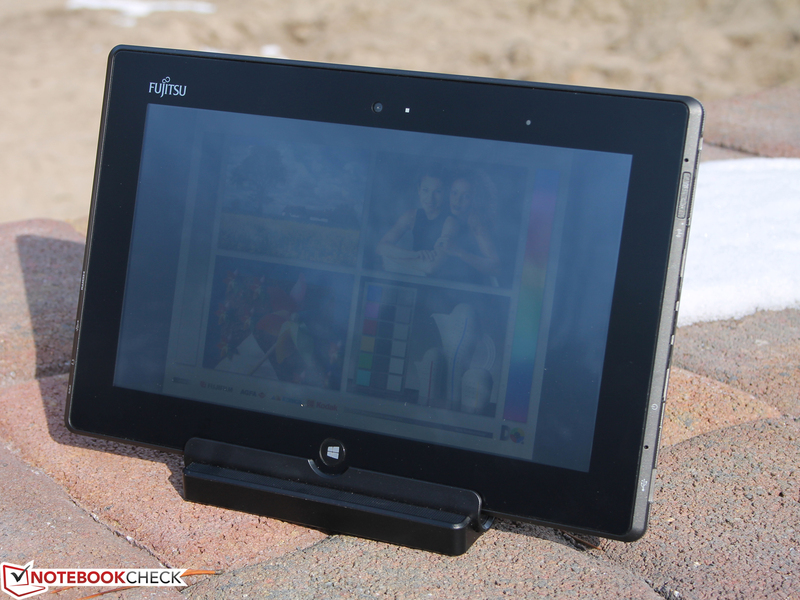 In the instance of the Latitude 10 and the ThinkPad Tablet 2 things are a little different; neither of them have matte displays. 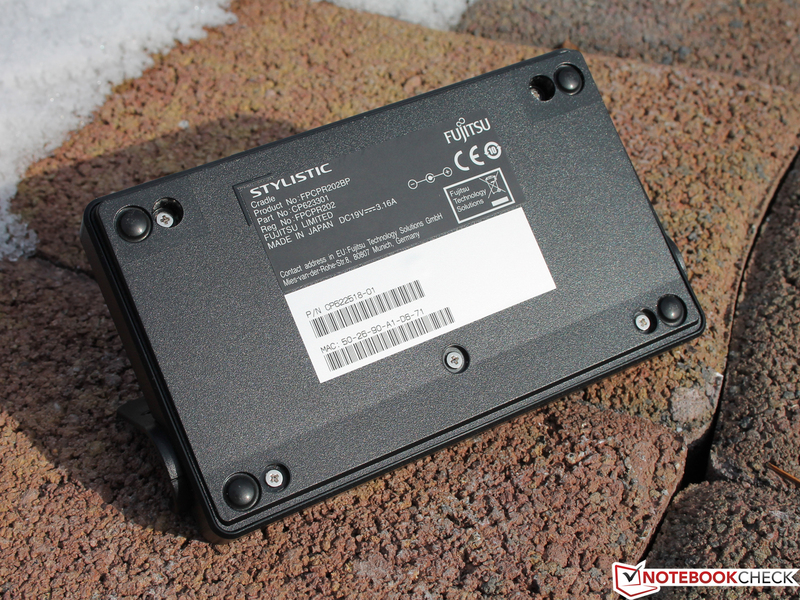 This may lead to unpleasant fingerprints, but the difference in luminance of 452/376 and 343/282 cd/m² (mains/battery powered) is enormous in some cases, and as a result, the Latitude 10 is substantially better for use outdoors than the reviewed Q572. 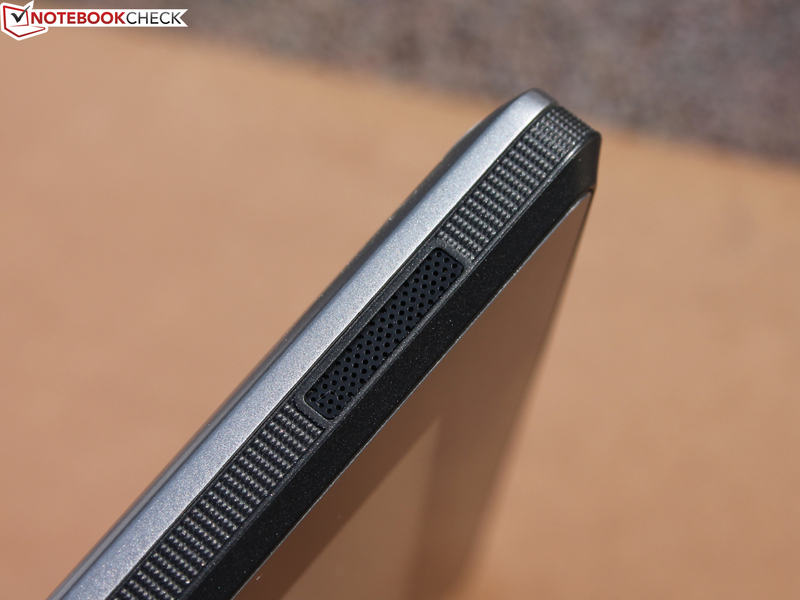 The viewing angles on the other hand are first-class as usual with IPS displays. Horizontally the display contents remain visible from almost any angle, and looking from above or below also will not lead to any problems; while color inversion, which is something that most laptops have to contend with, is not an issue for the Q572 either. 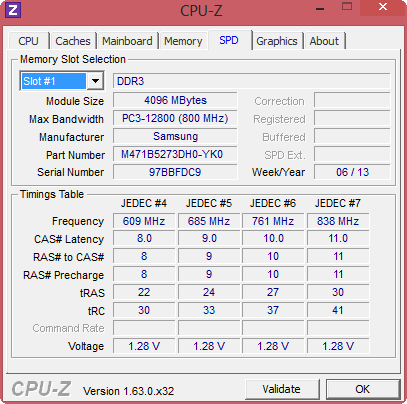 Our Q572 is equipped with an AMD Z-60 APU (1 GHz, no Turbo). 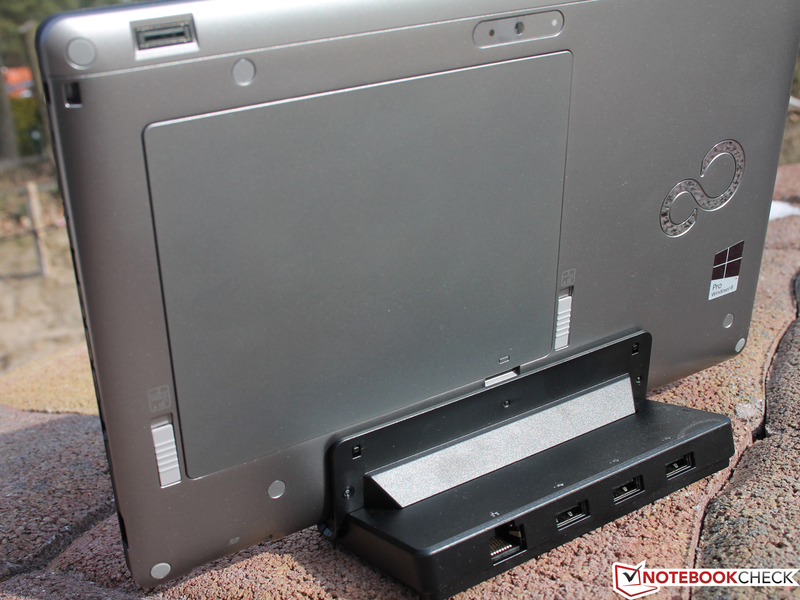 The dual-core processor with an integrated Radeon HD 6250 (shared 384 MB) was specially developed for tablet PCs. Technically the APU is similar to the Netbook platform C-60 (9 Watts), although the TDP is significantly lower (4.5 Watts). 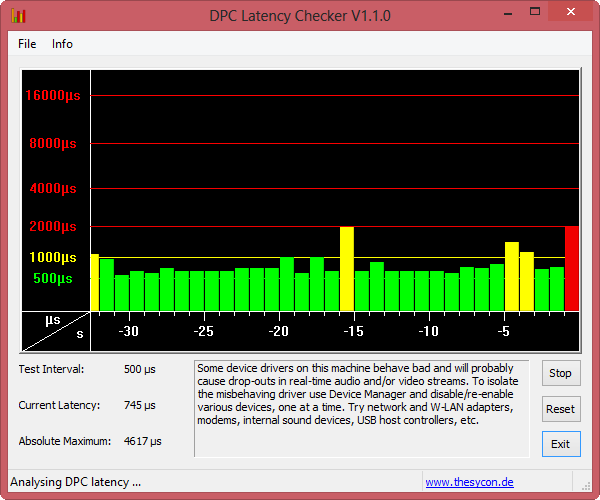 One reason for this is the slow GPU clock speed of 290 MHz (constant). 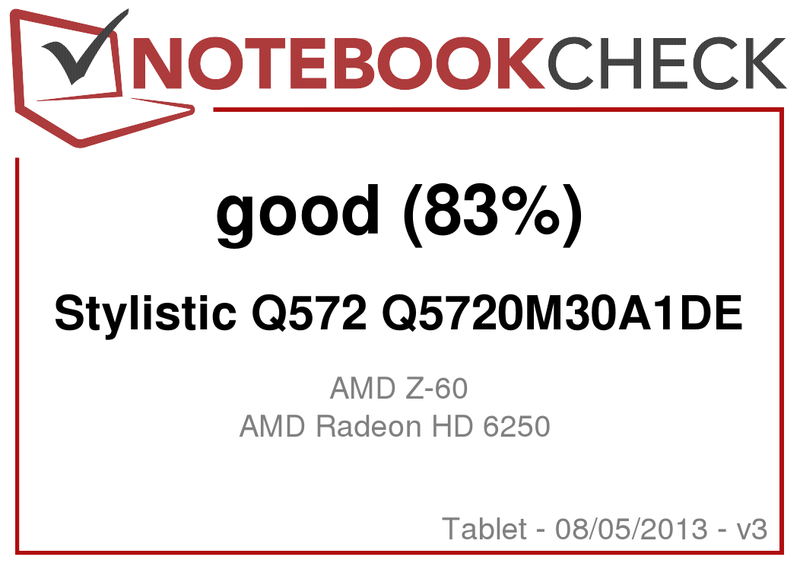 AMD positions its tablet APU against Intel's Atom Z2760 (dual-core), but is achieving limited success so far, at least as far as the devices available in Germany are concerned, since the Q572 is the only Z-60 tablet available at present. In addition to this, four Gigabytes of RAM and a 128 GB SSD from Hynix (HFS128G3MNM) are also included. The capacity of the SSD is exceptional since the Atom based rivals merely have 32/64 Gigabytes of flash memory. 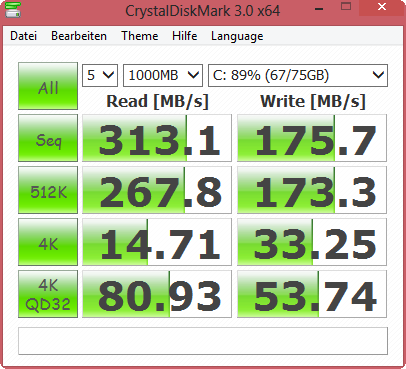 Whether or not the Hynix SSD is faster will be revealed later in the review. Let's start by first of all taking a look at the processing performance of the AMD Z-60: The Atom Z2760 takes the lead by between 31 to 36% - a reliable value which we tested with six different Windows convertibles (e.g. Dell Latitude 10). 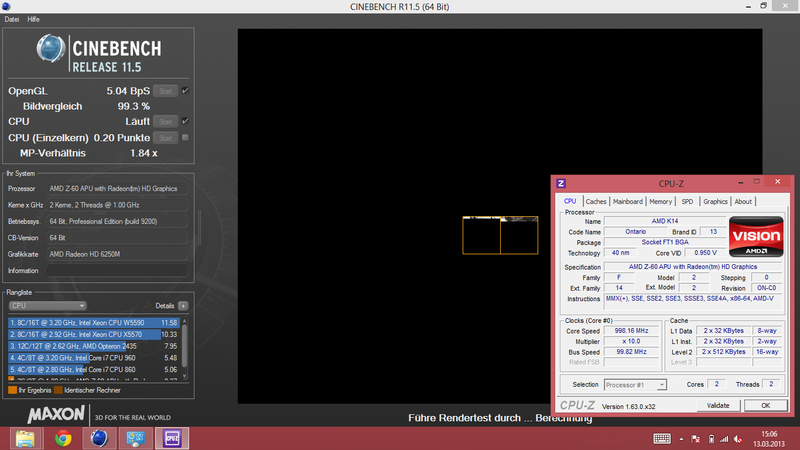 Unfortunately, due to the 32-bit version of Windows 8 on this device we were only able to make comparisons using Cinebench R10 Multi. What is interesting due to the enormity, is the performance gap to a Low Voltage Intel Core i5 (+440%), as is included in the Acer W700 (tablet). The older Atom N570 (Eee PC 1015PX) is still 32% faster. The Core i5 of course requires considerably more power when utilized (21-28 Watts instead of 16-19 Watts), which justifies the performance improvement. 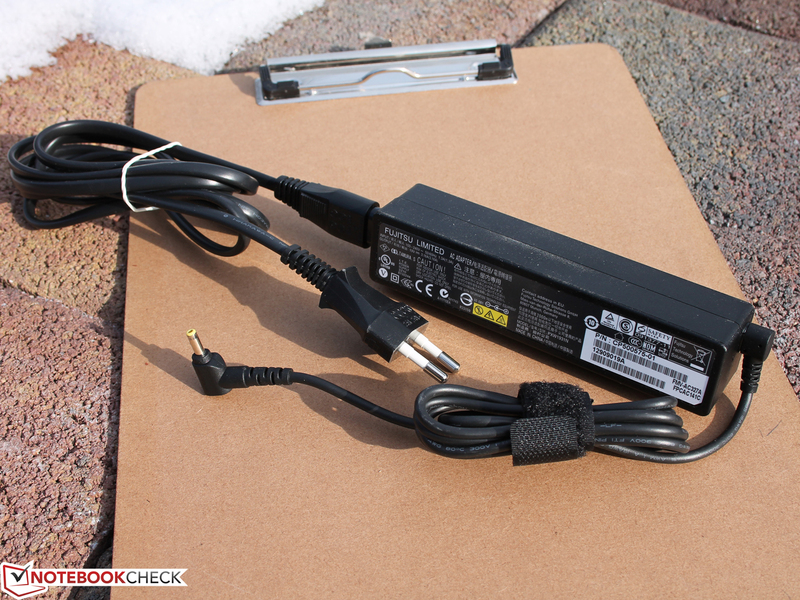 The aforementioned Atom Z2760 however typically only requires 8-10 Watts (when utilized, e.g. Iconia W510). 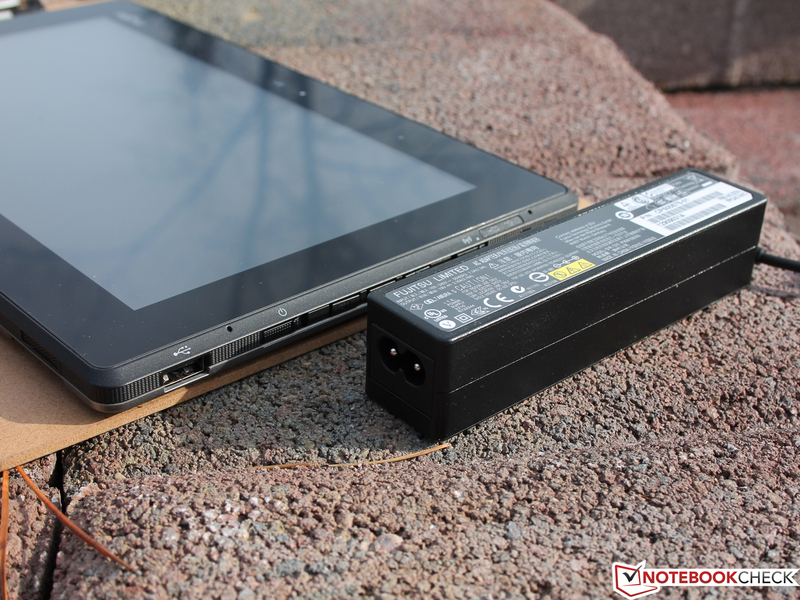 An Intel Atom tablet therefore has considerably better performance per Watt. 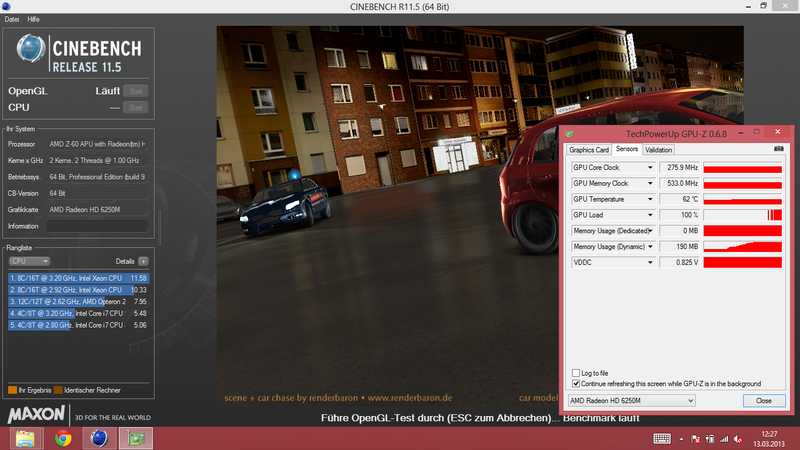 Things look a little different when it comes to the shading test, which only concerns the Radeon HD 6250 (IGP). In this case, our reviewed Q572 outperforms its Atom counterparts by between 26 to 32%. The PowerVR SGX545 (GMA 3650) in the Atom Z2760 is therefore weaker and only supports DirectX 9.1. 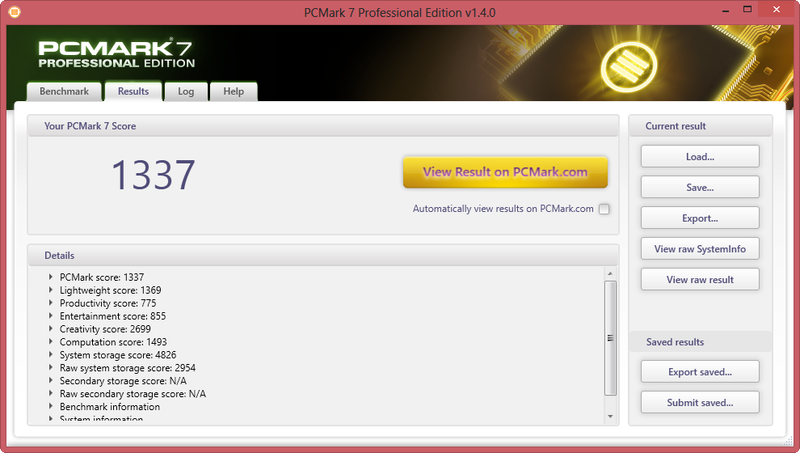 The application performance is assessed by the PCMark 7 benchmark. In this case all the relevant hardware components are tested (GPU, RAM, memory), as opposed to only the processor. The result achieved is more or less identical to that of the Atom competition (+/- 7%), whereby the disadvantages of the lower processing power are compensated for by the Q572 with the fast 128 GB SSD. In terms of the memory performance, our reviewed tablet outperforms other tablets and convertibles that also run Windows 8 by between 38-48%. 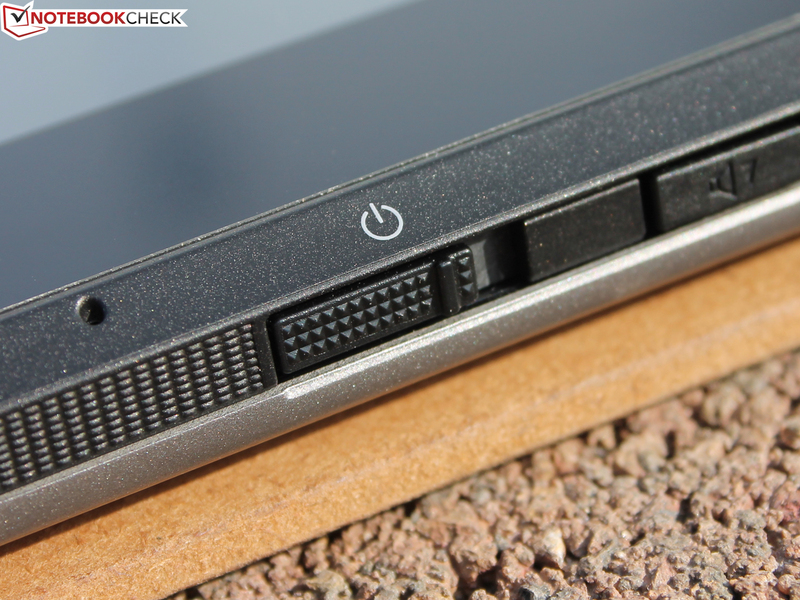 Lenovo's ThinkPad Tablet 2 and Dell's Latitude 10 lag behind by 39% in the sub-score, but take the lead by +7% overall. The perceived application performance is altogether satisfying. As soon as several installations are running at the same time though, or programs are used in parallel, the Q572 does however start to stall noticeably. Copy tasks or individual installations on the other hand are finished after a short time thanks to the fast SSD (high write rates). Altogether, we had the impression that working with the Q572 was slightly smoother than with its Atom counterparts. In any case, there is also more storage capacity available with the 128 GB, than when compared to its rivals equipped with 32 or 64 GB. 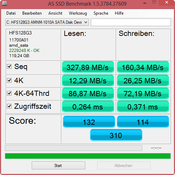 The System Storage Score from PCMark 7 depicted in the chart ascribes the Hynix SSD (SATA 3) fantastic data rates. Access times with the 64 GB SSDs in Atom competitors are between 50 to 60% slower, at least as far as this score is concerned. 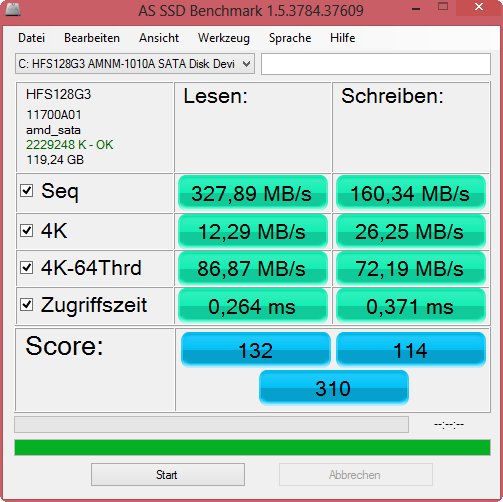 Even the pure mass storage tests with CrystalDiskMark and AS SSD attest to good 4K throughputs of 15/33 and 12/26 MB/s (reading/writing). What stands out in particular is the twice as fast write speed. Things look a little different when it comes to the competition: The Latitude 10 and the ThinkPad Tablet 2 with their 64 GB eMMC flash memory have a 4K throughput of only 9/2 MB/s (reading/writing). 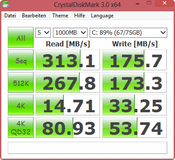 The write speed is therefore extremely slow (only 4x faster than conventional HDDs with approx. 0.55 MB/s). 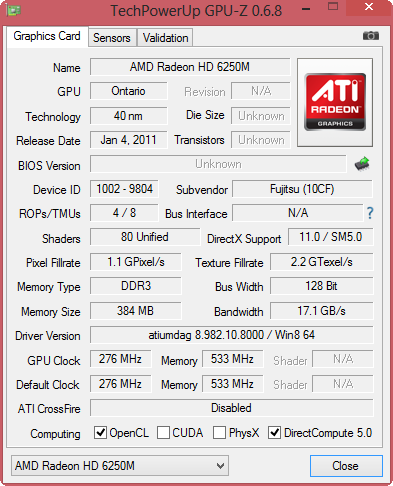 AMD's Radeon HD 6250 is a part of the Z-60 APU (Hondo). Contrary to the CPU core, the GPU is not state of the art, and was already introduced at the end of 2010 in countless "AMD Netbooks" (e.g. Acer Aspire One 722). 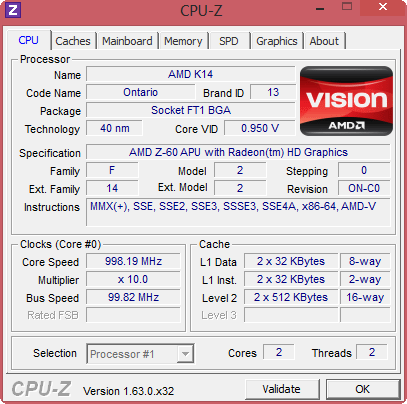 The Radeon operates at a constant 276 MHz and does not have a Turbo feature. 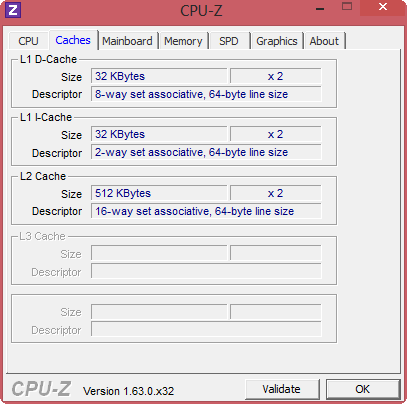 It supports DirectX11 and has a UVD3 (Video Decoder), the latter of which takes some of the processing load away from the processor when playing high-definition videos. We tried it out; Even when battery powered the CPU is only utilized by between 30-40% while playing back 1080p videos on an external Full HD display (two videos simultaneously 40-50%), which means that other applications can also be used at the same time. At this point, we would like to point out that the Graphics Media Accelerator 3650 in the Atom also possesses an HD Video Engine, and is able to drive an external display via HDMI 1.3 or a DisplayPort. Compared to the Q572 (full size HDMI) the competitors usually have a Micro HDMI port though. The gaming performance is very limited, which is why only older games with low detail settings and resolutions run smoothly. In the instance of Risen from 2009, not even these compromises allowed for decent gameplay though. One reason for this is the meager performance of the CPU, which represents a bottleneck for many games. The data sheet for the HD 6250 contains an overview of the tested games, whereby it is worth noting that most of the included games were tested with other slightly better processor cores (AMD Netbooks). Silent working, reading and web browsing - this is something that is provided by every Android or Intel Atom based tablet. In the instance of the Q572, this is not the case though, since the APU requires active cooling. As a result, users will have to put up with an audible cooling fan and air vent, which is active at all times, the same way as with any other slate PC/convertible with an Intel Core (e.g. Acer Iconia W700, Stylistic Q702). In an idle state we measured a noise level of about 30 dB(A) from a distance of 15 centimeters (tablet standing in the docking station). With a high processing load our measurement increased to 34 dB(A), which is not annoying, but nevertheless audible. This peak noise level is only produced by the Q572 with a constant extreme processing load while Prime95 and FurMark running at the same time though (CPU + GPU stress test). Copy tasks, playing games or installing applications do not increase the system noise, which remains in its idle state of about 30.4 dB(A). One thing that does stand out is the temperatures, which even become noticeable when the Q572 is in an idle state. The localized hot-spot of 44 degrees °C (111.2 °F) just above the Windows button surprised us: Apparently, the constant but slowly turning cooling fan is not able to prevent the accumulation of heat, because with a constant load and the fan turning at its maximum speed, the temperature actually falls considerably. 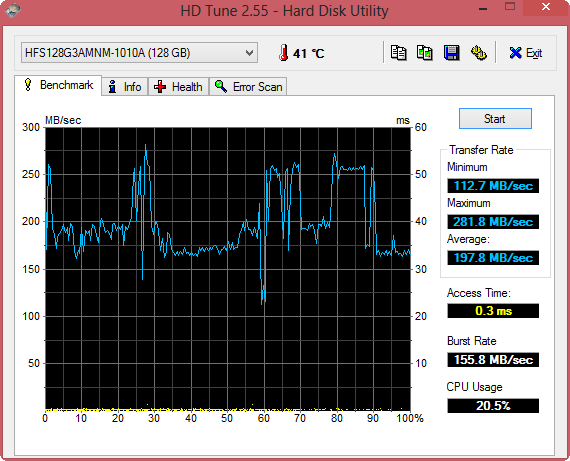 As usual, we carried out the stress test with Prime95 and FurMark, and did not observe any throttling. 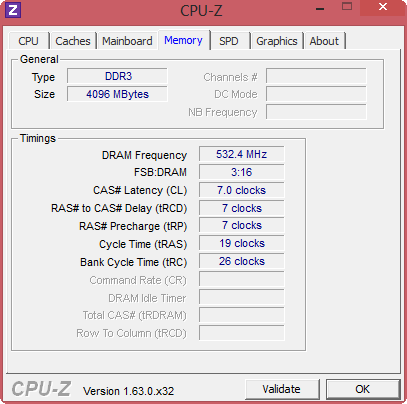 The GPU (275 MHz) and the CPU (998 MHz) speeds stay constant for over two hours. A Turbo feature is not available in either of the cores. 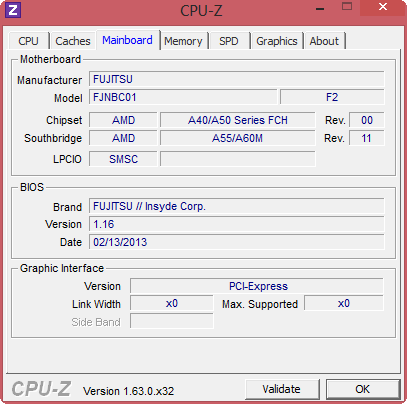 Compared to Intel's Atom platform, the Z-60 APU is able to contend relatively well. 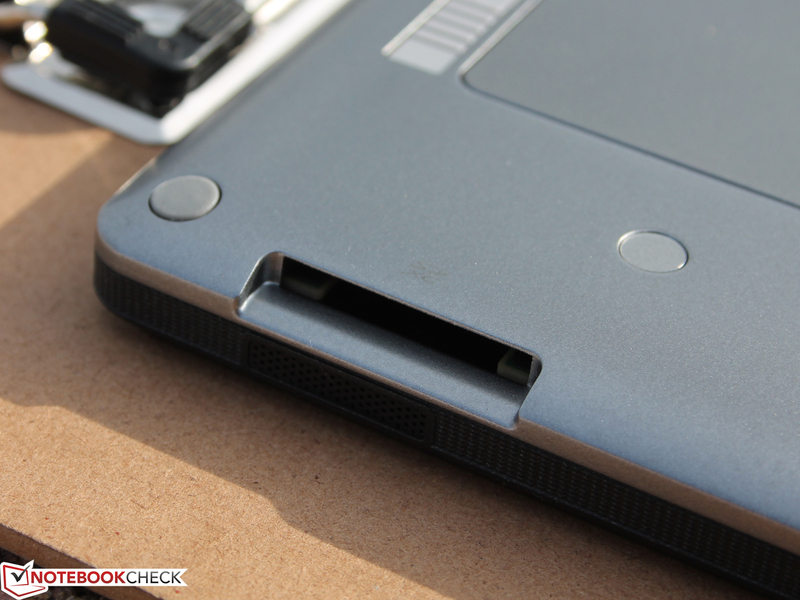 Heat dissipation and an active cooling system for a tablet (without an Intel Core) are actually a thing of the past. The APU provides far too little performance advantages in our opinion to justify this drawback. (+) The maximum temperature on the upper side is 39.1 °C / 102 F, compared to the average of 34.8 °C / 95 F, ranging from 22.2 to 51.8 °C for the class Tablet. (±) In idle usage, the average temperature for the upper side is 36.5 °C / 98 F, compared to the device average of 30.7 °C / 87 F.
When it comes to the quality of the audio from the two stereo speakers, we certainly were not expecting too much. 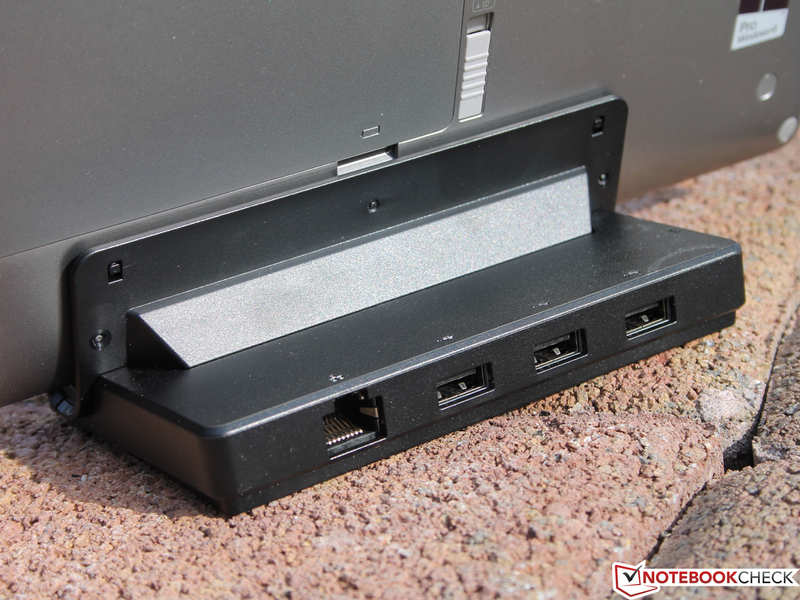 The small speakers are located in the lower side of the tablet, so that they emit audio towards the desktop when the tablet is mounted in the docking station. The maximum volume is relatively low, so that the tablet by itself would not suffice to fill an average sized meeting room. The audio is concentrated in the mid-range and does not provide either depth or bass. Headphones should therefore be the first choice when it comes to listening to music. Unfortunately, the docking station does not provide a 3.5 mm mini-jack socket for connecting external speakers. The Z-60 APU was conceived as a tablet platform, which is why it has a TDP of only 4.5 Watts (highest thermal dissipation of the CPU and GPU). Measured from the mains cable, things of course look a little different: In this case the power dissipation of the power supply (AC adapter), the TFT backlight, as well as the wireless modules and the RAM not to mention other devices (SATA SSD, USB ports, card reader etc. ), all lead to additional power being consumed. We measured a maximum of 19 Watts with peak utilization and the highest brightness while the battery was fully charged. 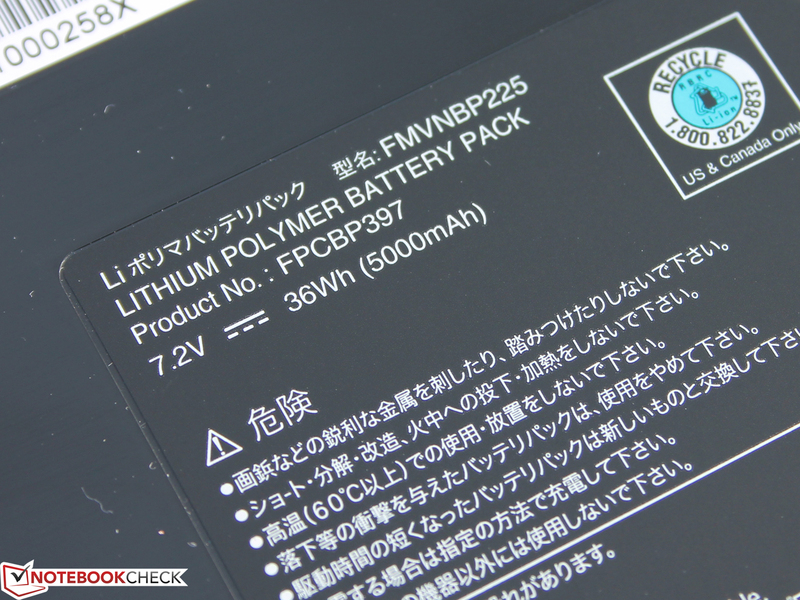 The Atom based competitors only required between 9 and 11 Watts (ThinkPad Tablet 2 / Latitude 10) during the same test, while this value was at 5 and 10 Watts (Q572: 16 Watts) during a 3DMark benchmark. 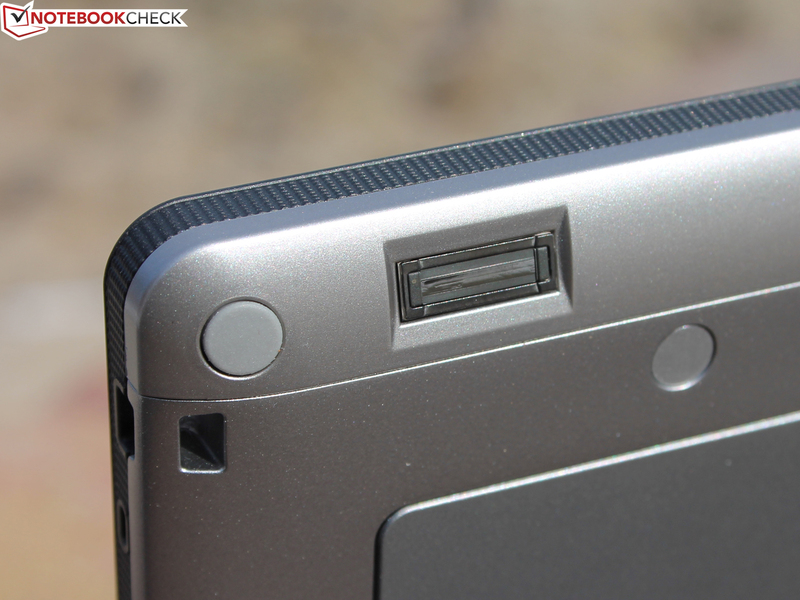 Our AMD tablet therefore has an up to twice as high power consumption depending on the scenario! Since this also continues in an idle state, things do not look very promising for the battery life of the Stylistic. As could have been expected the battery life is not even able to come close to that achieved by the Atom rivals Dell Latitude 10 (15:52 h WLAN test) and ThinkPad Tablet 2 (7:39 h). The relevant practical battery life, represented by our WLAN test with a brightness of approximately 150 cd/m², lies at only 4:48 hours. 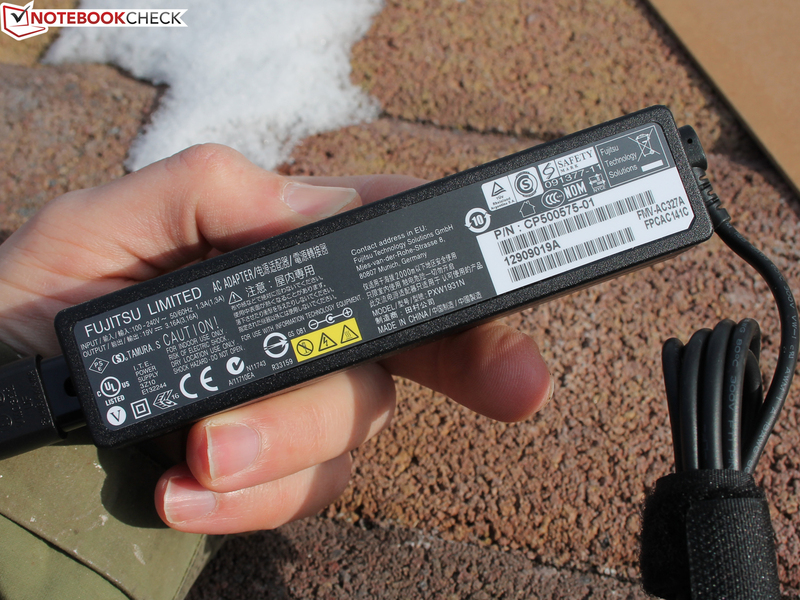 The 60 Watt-hour battery in the Latitude 10 is head and shoulders above the exchangeable 36 Wh battery inside the Q572. 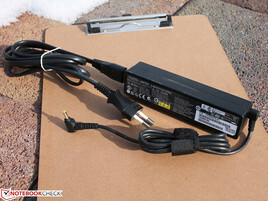 The ThinkPad Tablet 2 on the other hand only has a 30 Wh battery, and is therefore better for the purposes of comparison. Despite the lower capacity, it still lasts almost three hours longer. 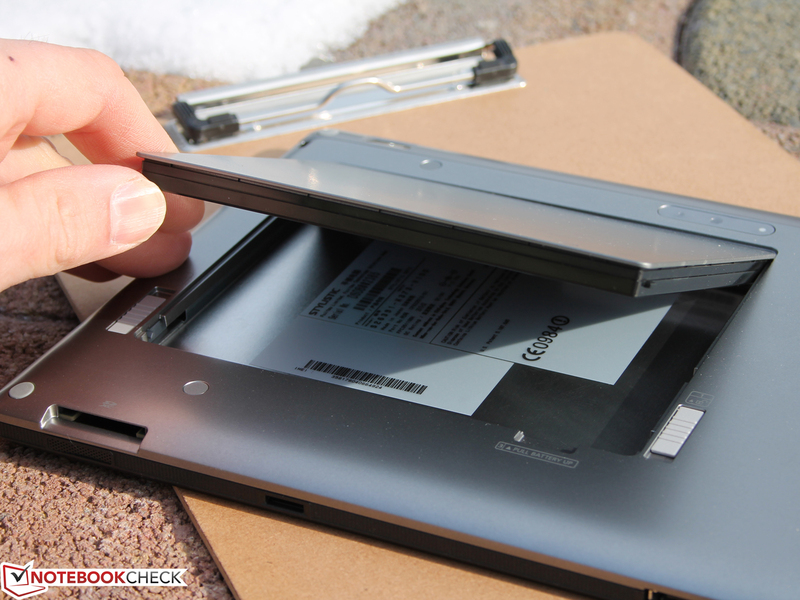 During the other two tests (utilized and idle states), our reviewed tablet also lags behind its competitors. 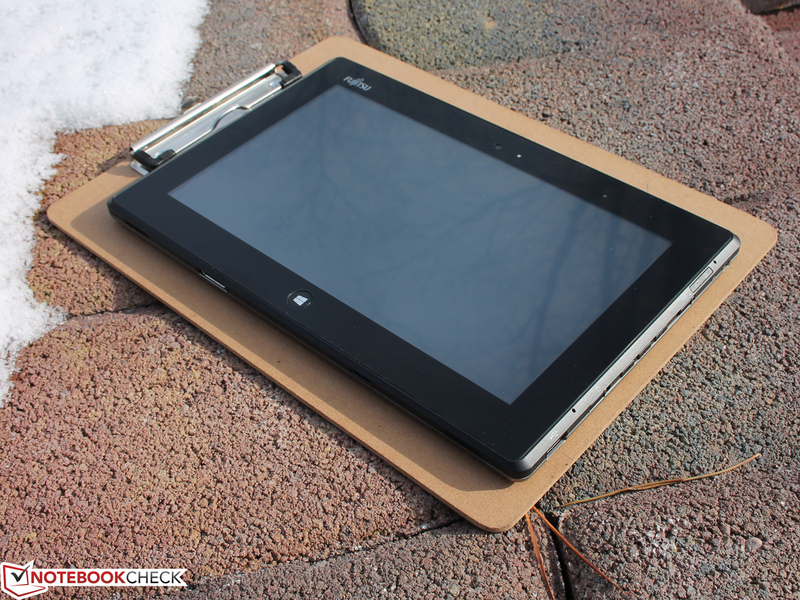 When utilized the ThinkPad Tablet 2 lasts almost twice as long. 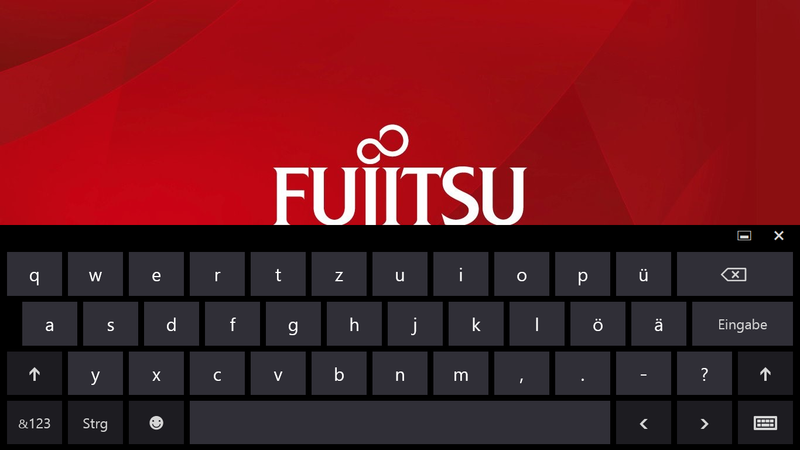 Without a doubt, the Fujitsu Stylistic Q572 is not everything to everyone. This is already underpinned by the price: 1050 Euros (~$1371) are a hefty sum. In exchange, buyers will however also receive quite a lot in return: Smart card reader, integrated UMTS, docking station with Ethernet, fingerprint reader and an anti-glare touchscreen. These features may not impress private users, but in the business world, these are definitely useful additions. The touchscreen probably will not be very coveted in any case. Although the contrast and viewing angles (IPS) are relatively good, and the color accuracy is quite decent; users will not be able to make much use of these when they cannot actually see anything on the display in the sunshine with curtailed brightness levels. The reason for this being the meager brightness, as well as the milky anti-glare display surface. 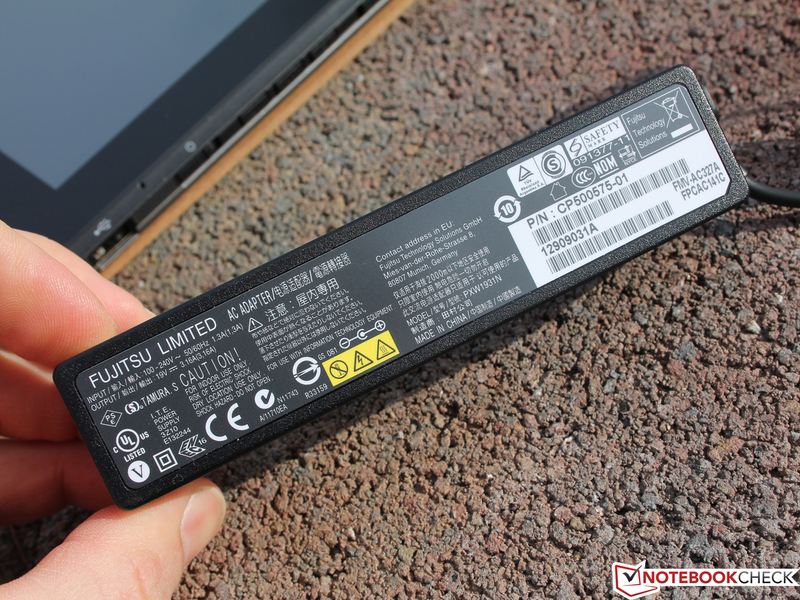 The battery life unfortunately isn't able to contend with the Dell Latitude 10 (15:52 h) and Lenovo ThinkPad Tablet 2 (7:39 h) Atom based rivals, while the Intel competitor (Atom Z2760: +42%; R11.5 Multi) outperforms in terms of the processing power. The system is not slow by any means though, thanks to the fast Hynix HFS128G3 SSD (128 GB), which is able to read and write at fast speeds so that users will not notice any difference compared to Windows 8 tablets running on the Atom platform. Whether the AMD Radeon HD 6250 is really the most prominent feature of the Q572 will be decided by the applications of users. As far as these can use the GPU shaders, users will reap the benefits of between 30-40% improved performance compared to a GMA 3650 (Atom). Our rating is divided: The short battery life, and the display which is unusable under sunlight, are big disadvantages. Meanwhile the performance is just about acceptable for Windows 8 thanks to the fast SSD, and is slightly better than the tested Atom tablets. 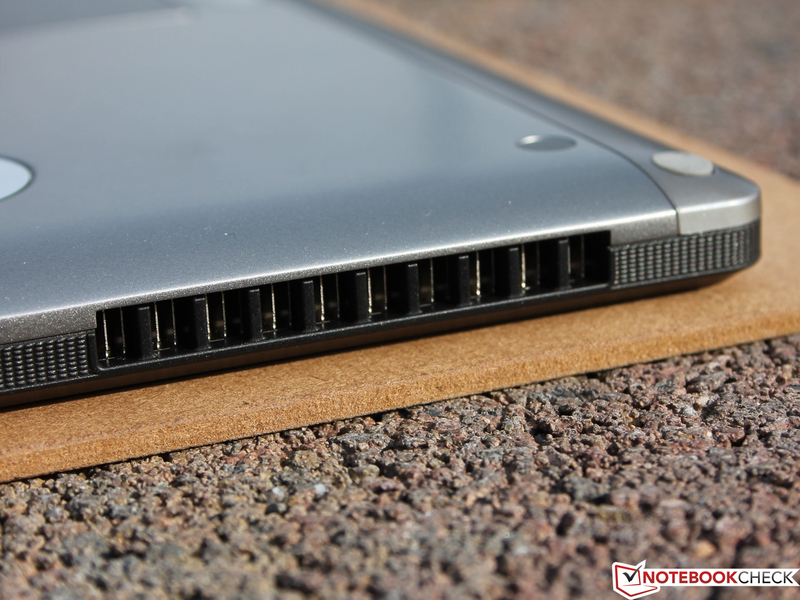 Heat dissipation and system noise are too high for the offered performance level though. Altogether, we would consider the Dell Latitude 10 to be a better alternative due to the far greater display brightness and longer battery life. 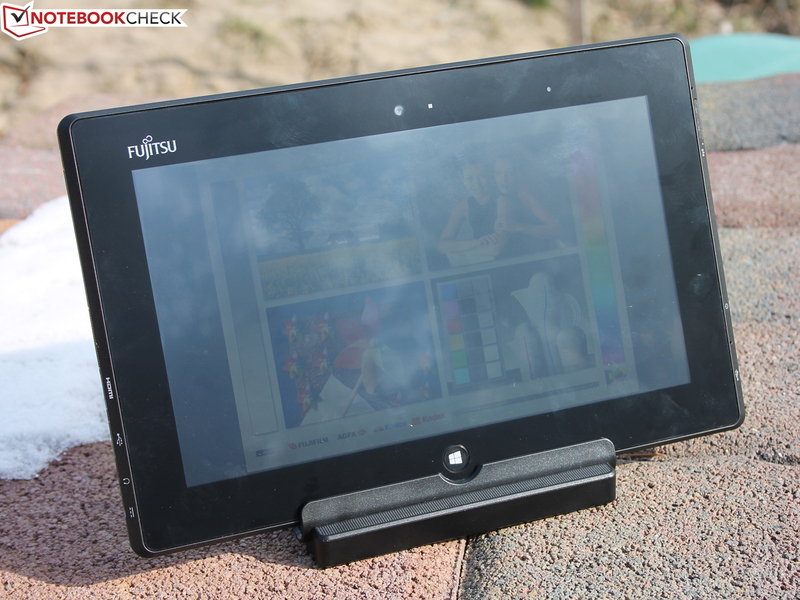 The IPS display is similarly stable in terms of the viewing angles and is not matte. It is better to have a bright glossy display with a high contrast level though, than a dark display with a milky anti-glare surface. 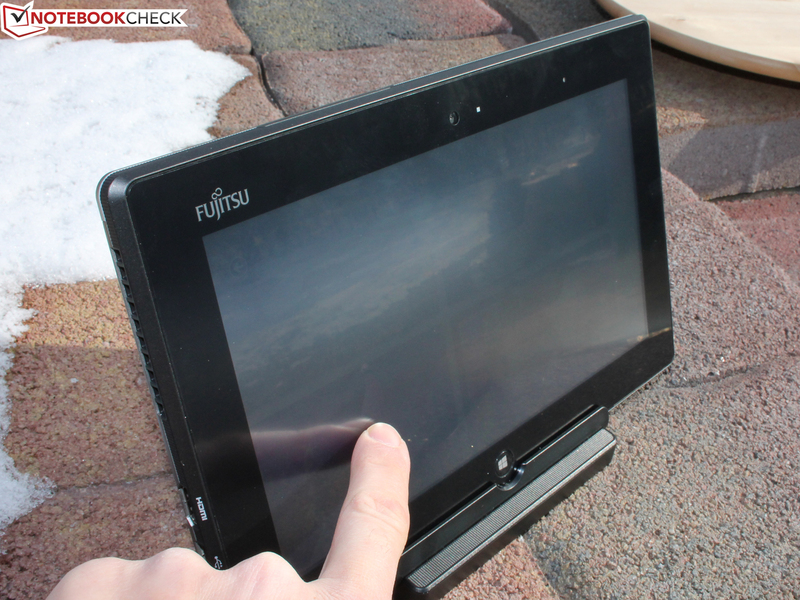 The ThinkPad Tablet 2 is also brighter than our reviewed Q572, and does not have an anti-glare surface. What is very nice is the included docking station. A smaller power supply would have suited the tablet better. ...although there is a clip on the case for it. The long power supply should therefore always be at hand. The removable battery merely lasts for about five hours with practical use (WLAN test). What a shame, since the Q572 is well equipped for mobility with the LTE modem. ...as well as three USB 2.0 ports. It a shame about the IPS display: Contrast, color accuracy and viewing angles are very good. But the low brightness is unfortunately a big disadvantage. Unfortunately the standing angle cannot be changed. We weren't able to recognize anything at all. Not even shade helped much. Together they lead to a completely useless display under sunlight. The anti-glare foil is however also responsible for the milky looking effect on the display. ...Android systems are seldom justified (with the exception of purely web based applications). ...or check lists have to be maintained. ...neither is the creation of presentations. ...that will give business users a lot of opportunities. ...than Atom based competitors (also Windows). The touchscreen has an anti-glare coating, which reduces reflections, but doesn't completely prevent them. 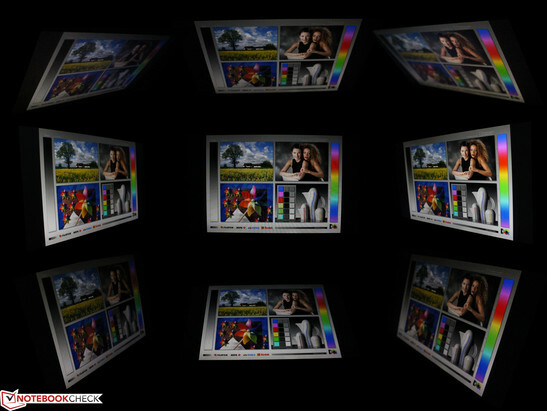 In addition to this the luminance is throttled to 178 cd/m² when battery powered. ...due to changes in the brightness every few seconds (with only small changes in ambient lighting conditions). 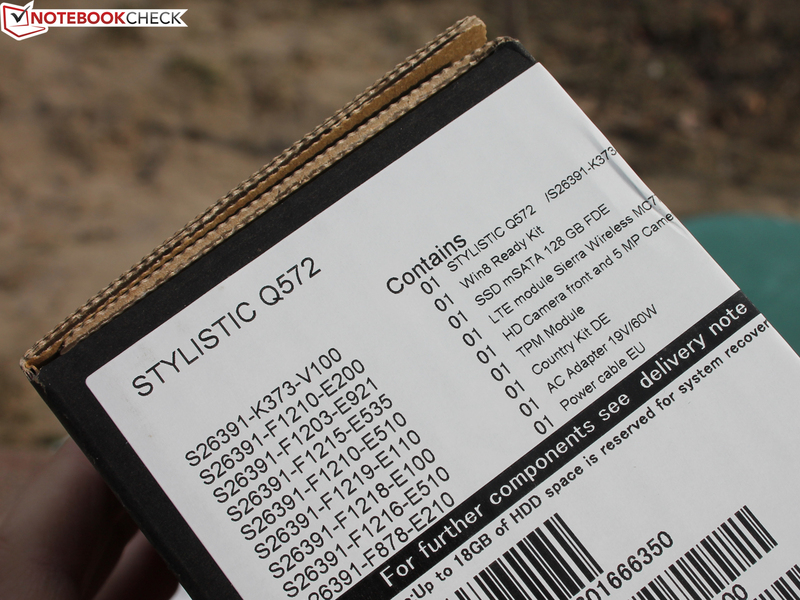 Unfortunately the Stylistic Q572 gets in its own way on route to the top of the (business) tablet pack. ...and the abundance of interfaces with standard sizes (USB 2x, HDMI, card reader). 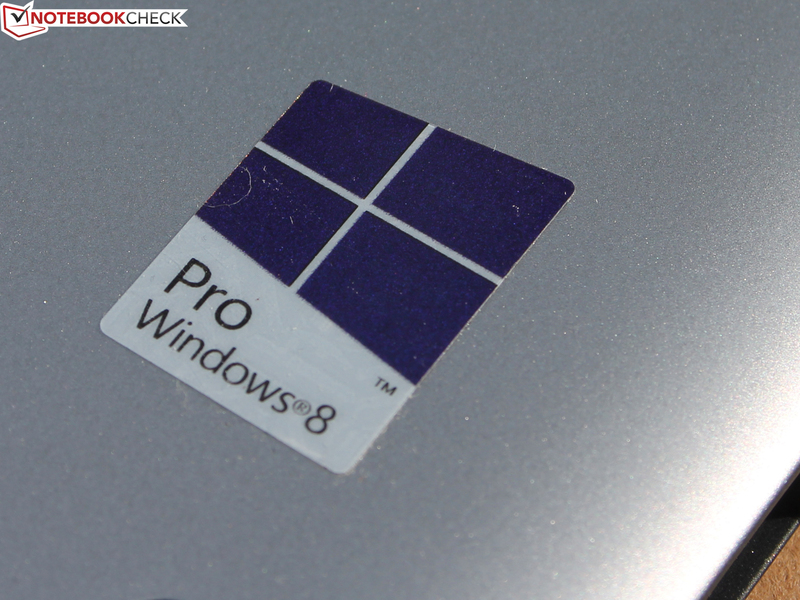 A useful Windows 8 performance on a handy tablet. Exchangeable battery and plenty of interfaces. If it wasn't for the meager performance, less demanding users could start considering replacing their PC with a tablet. An ambient light sensor, which doesn't immediately start dimming the display with every ray of light. 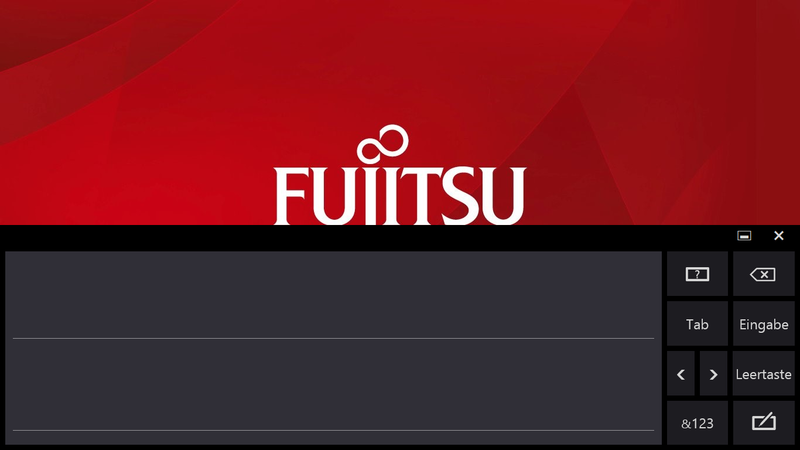 Hasn't anyone at Fujitsu tried out the Q572? Even indoors the display is too dark due to the sensor. 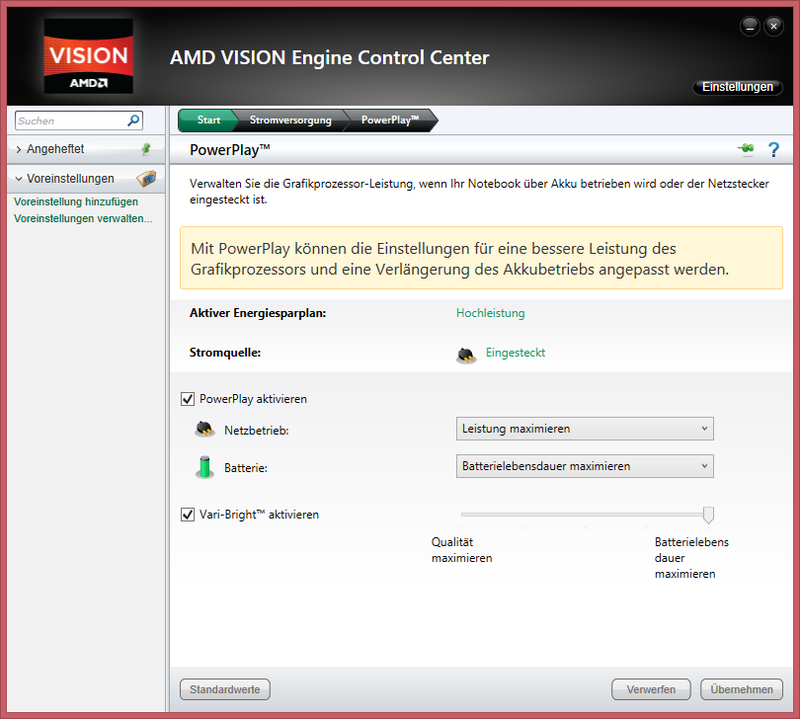 The AMD APU requires an active cooling system despite the low TDP. The Atom tablet platform on the other hand doesn't.